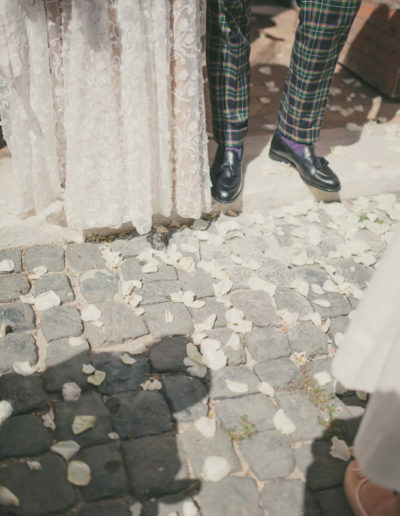 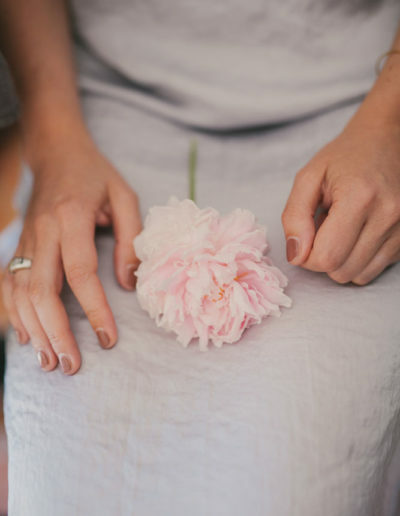 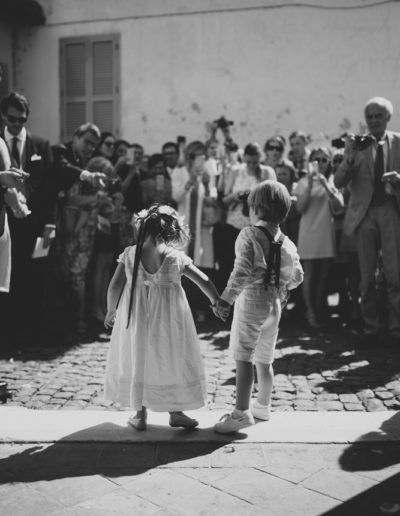 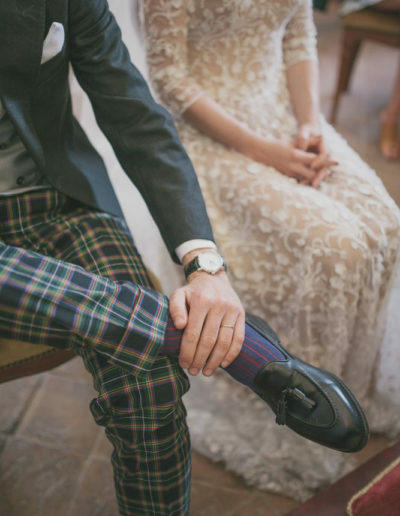 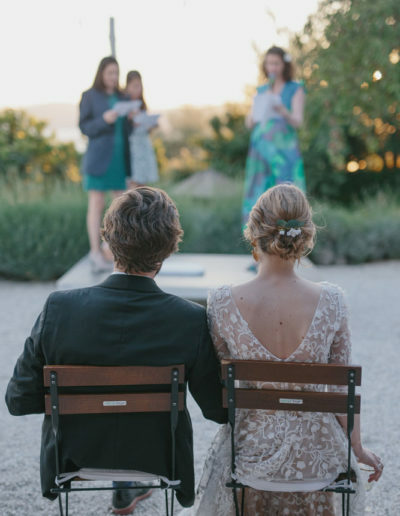 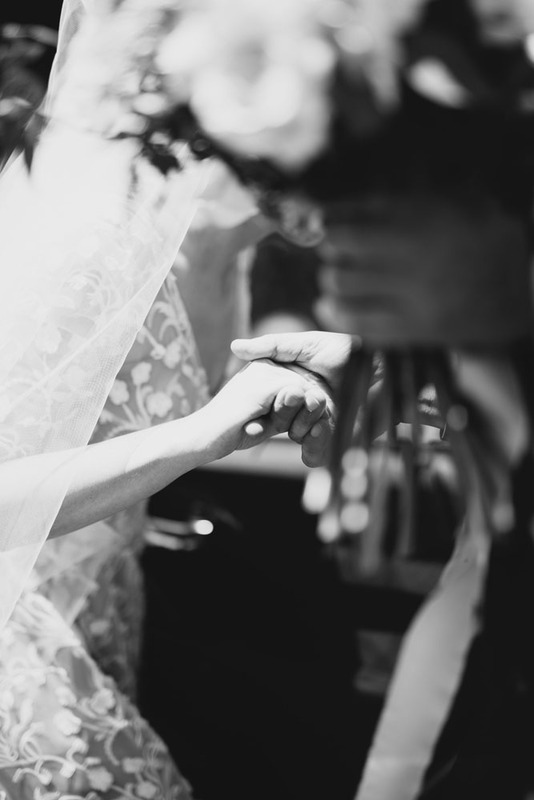 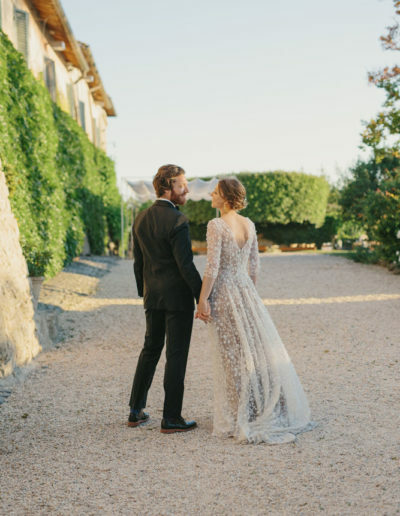 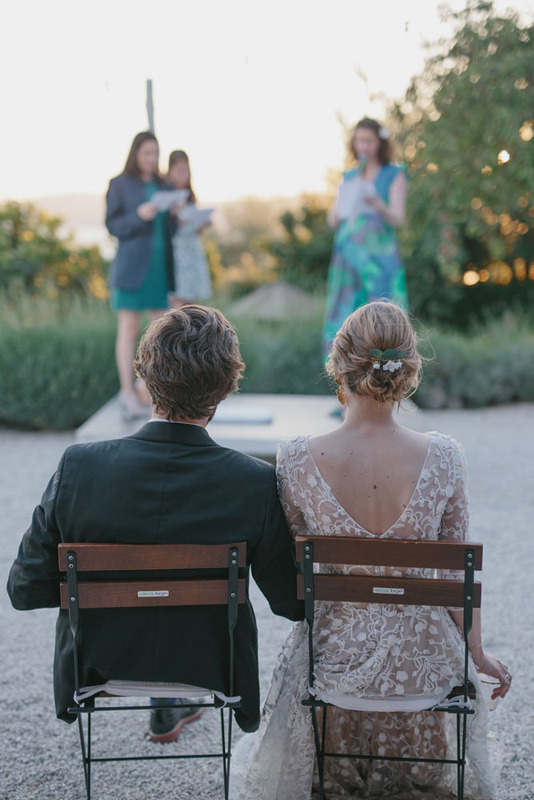 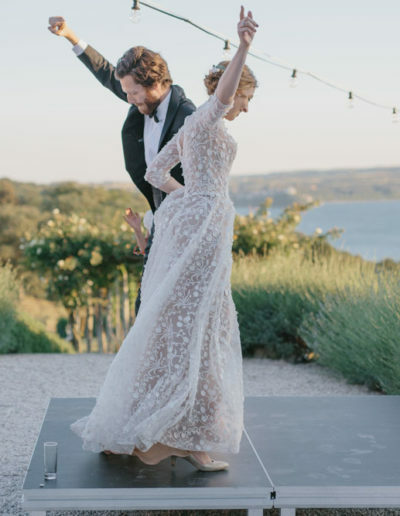 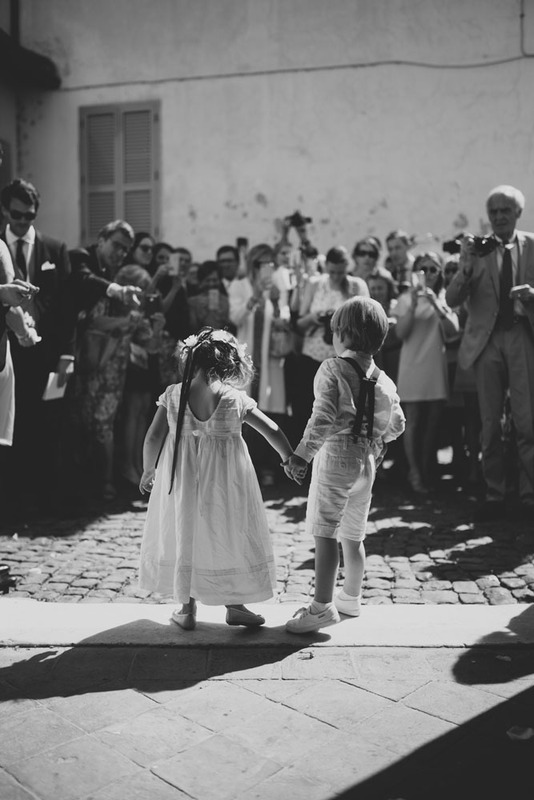 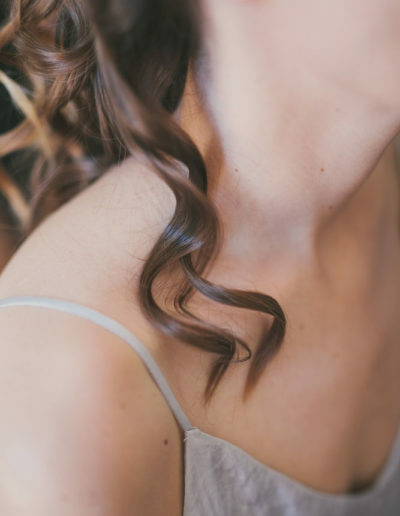 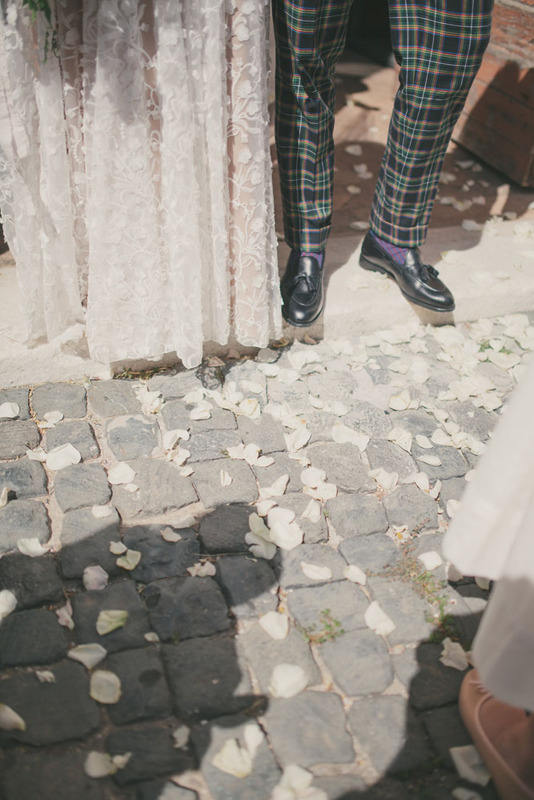 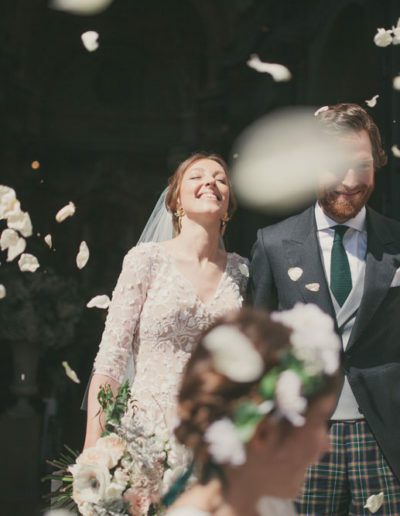 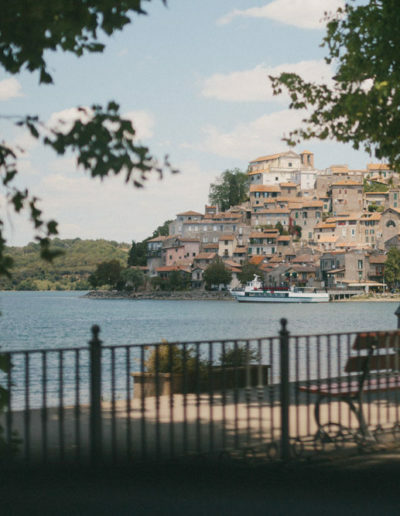 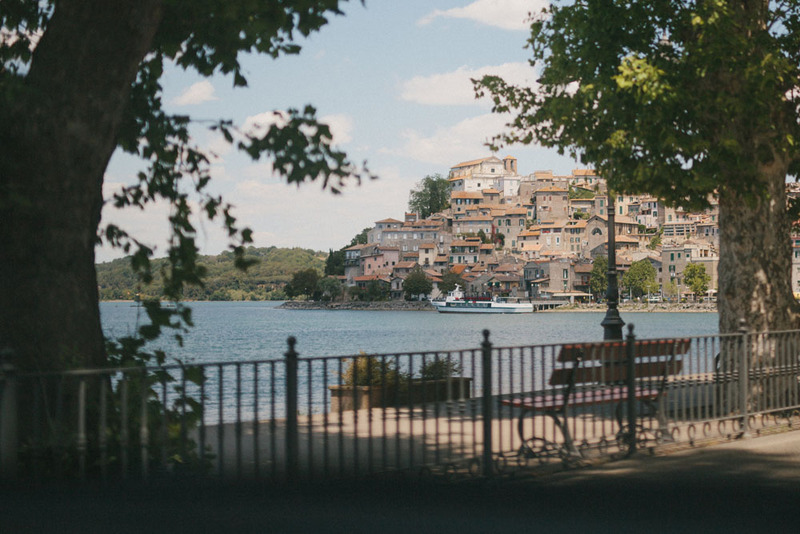 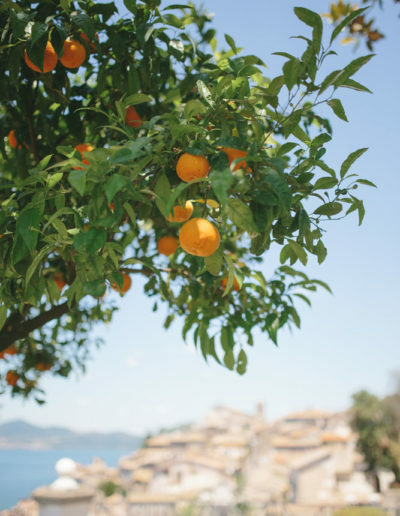 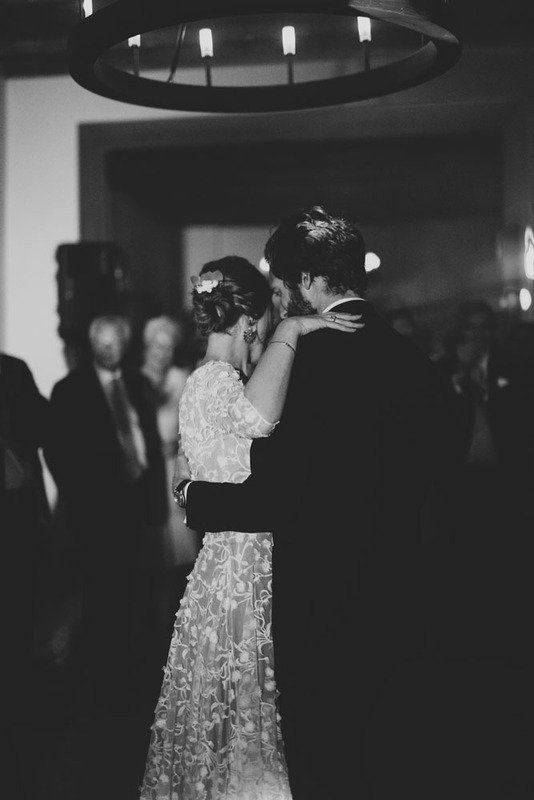 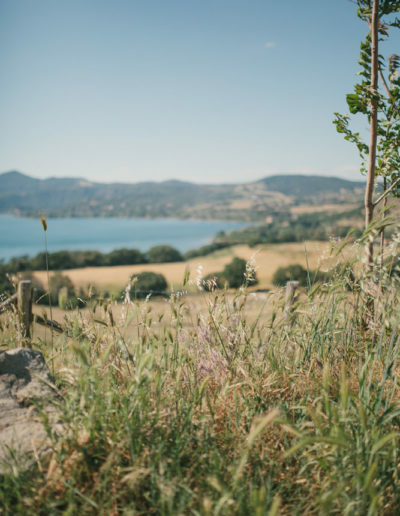 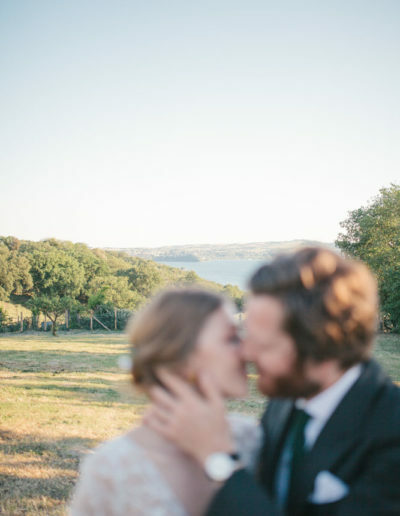 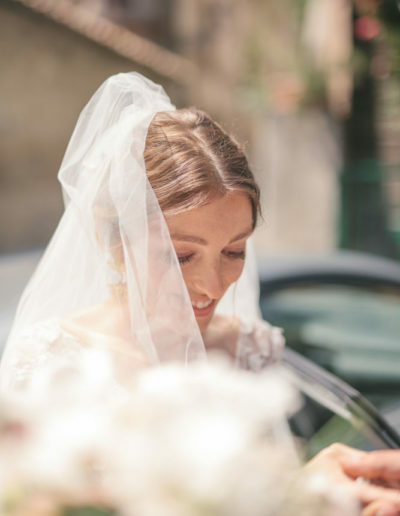 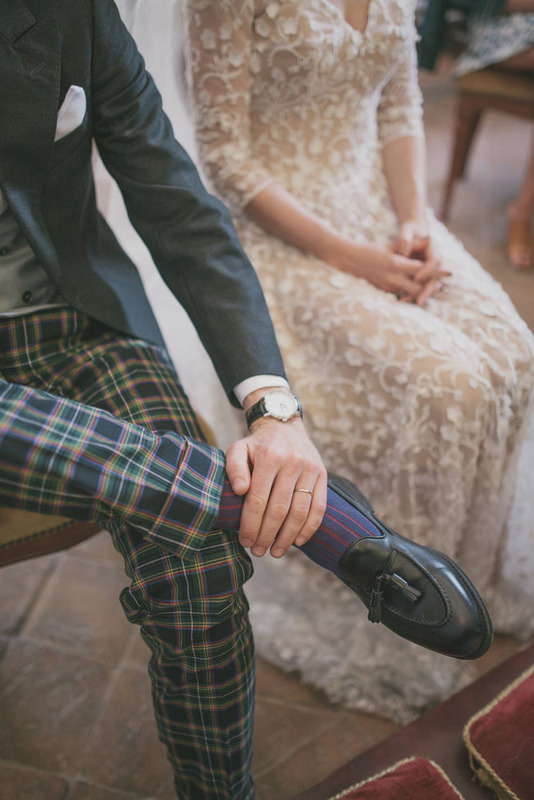 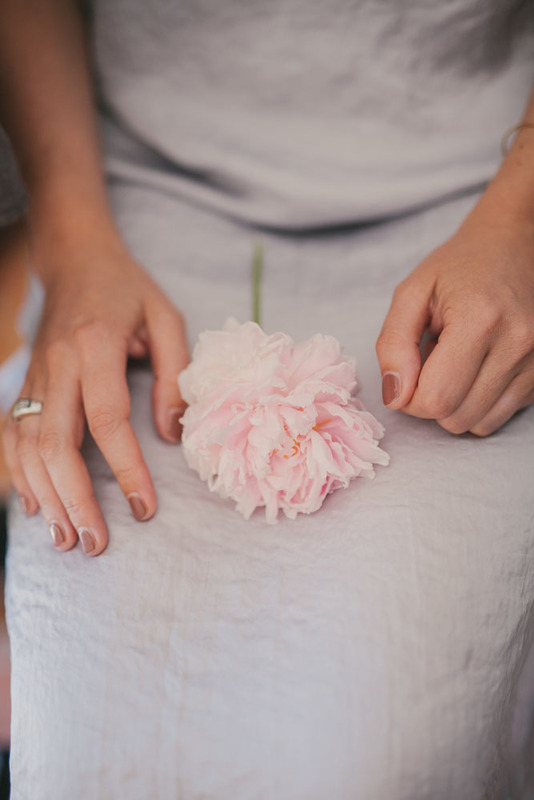 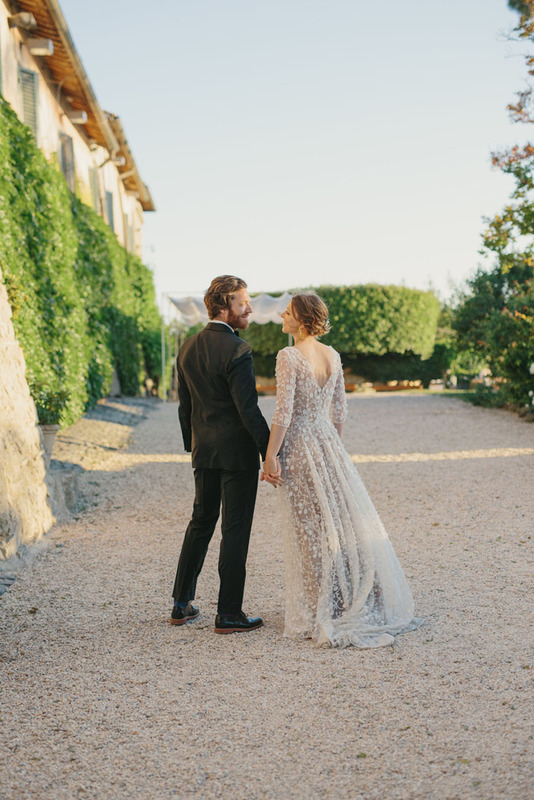 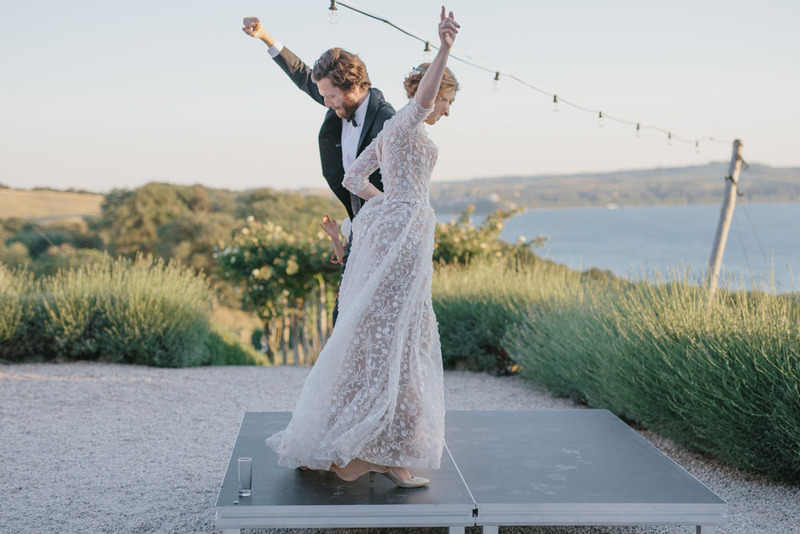 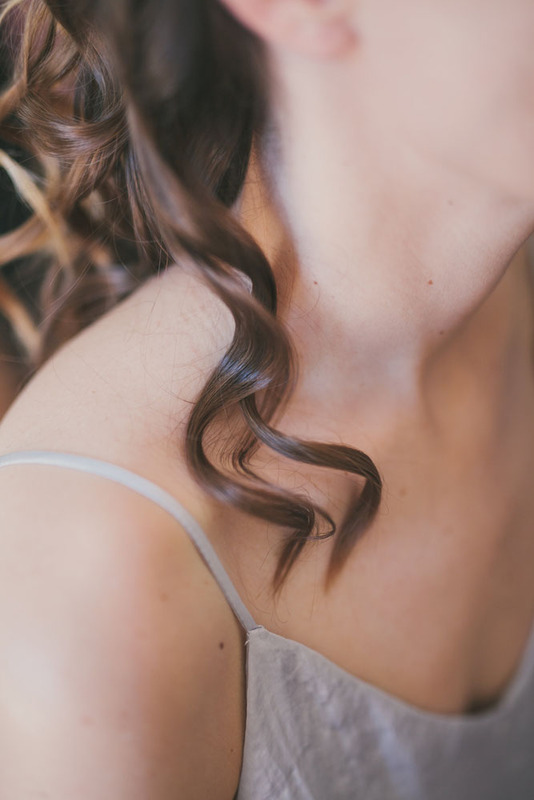 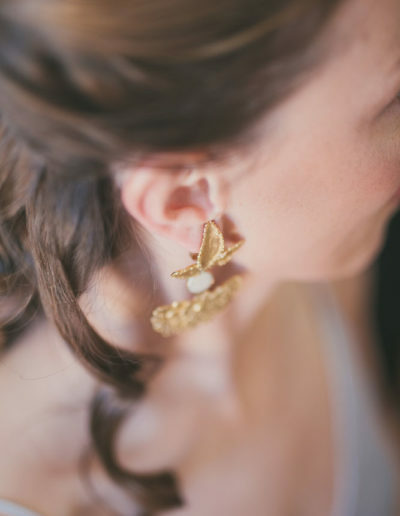 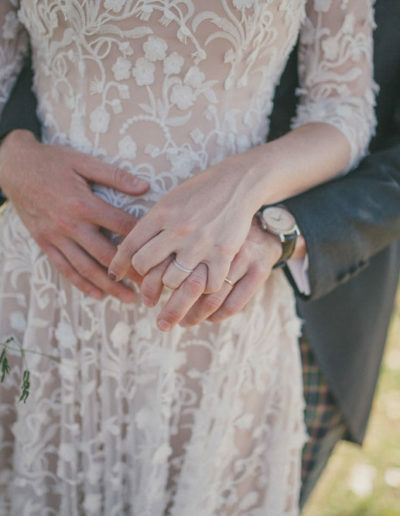 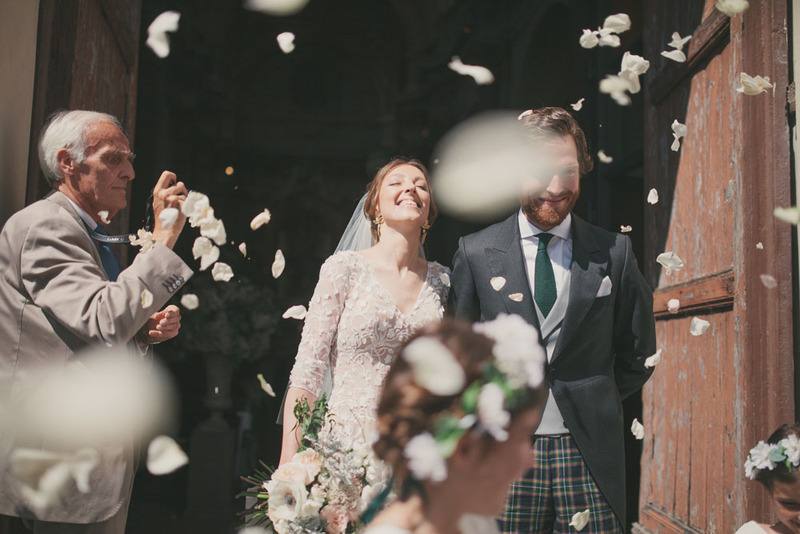 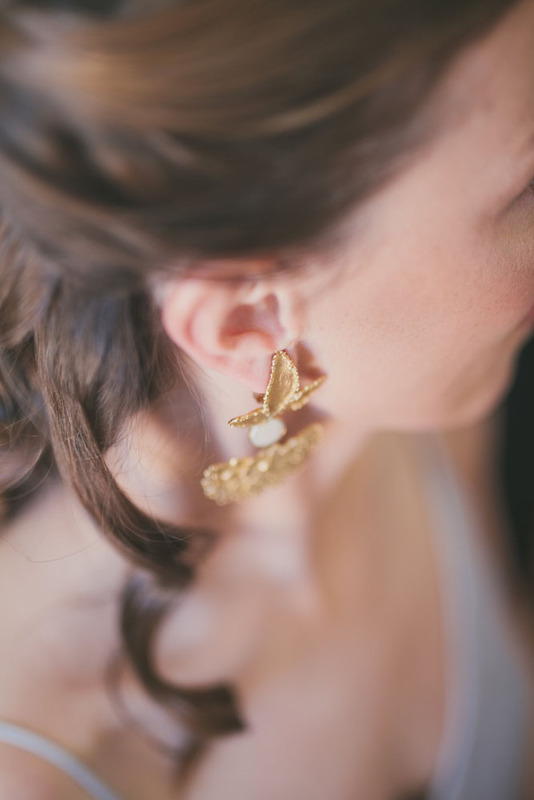 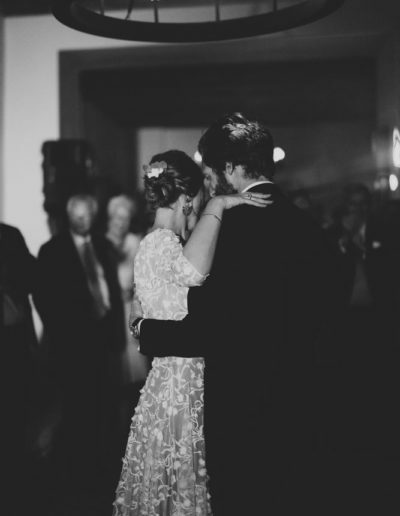 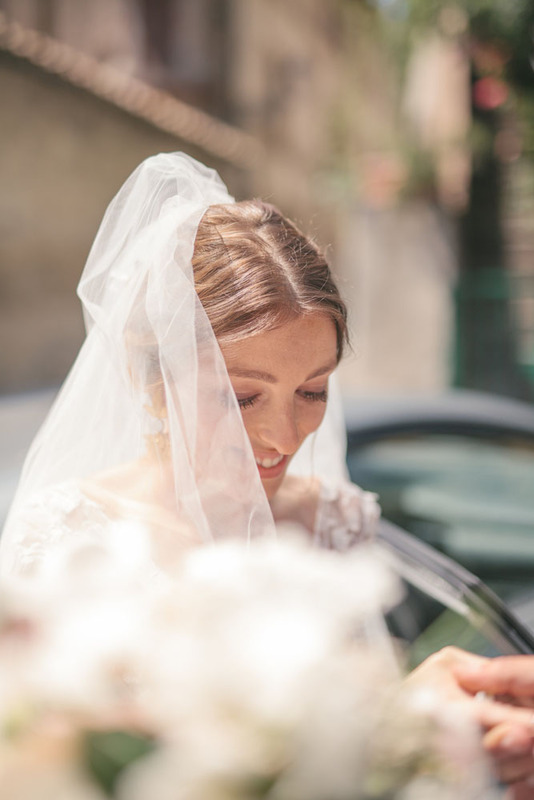 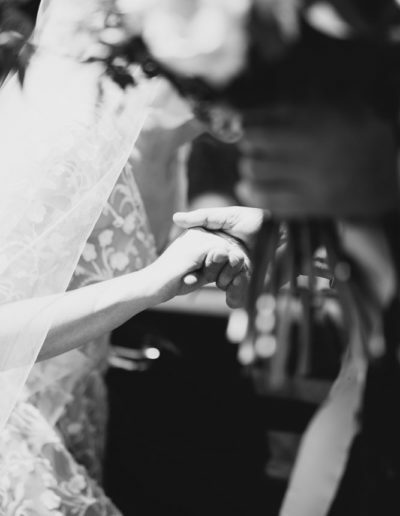 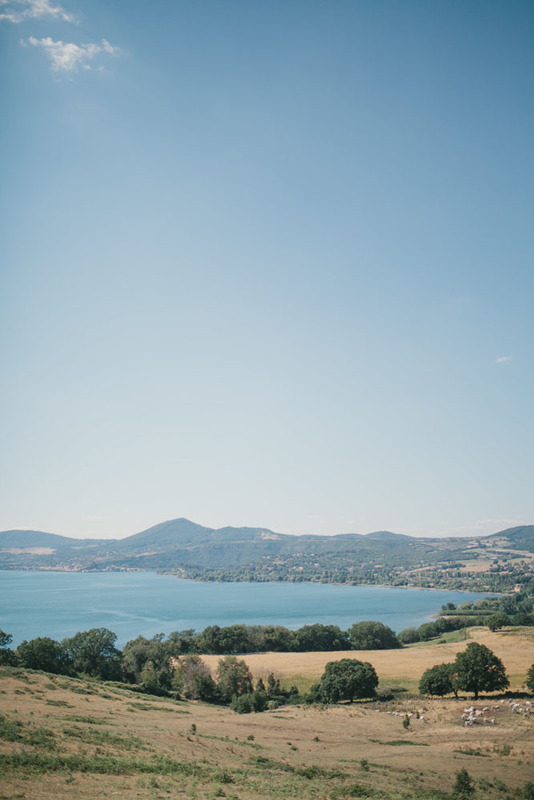 Join this beautiful French couple for their Lake Bracciano wedding! 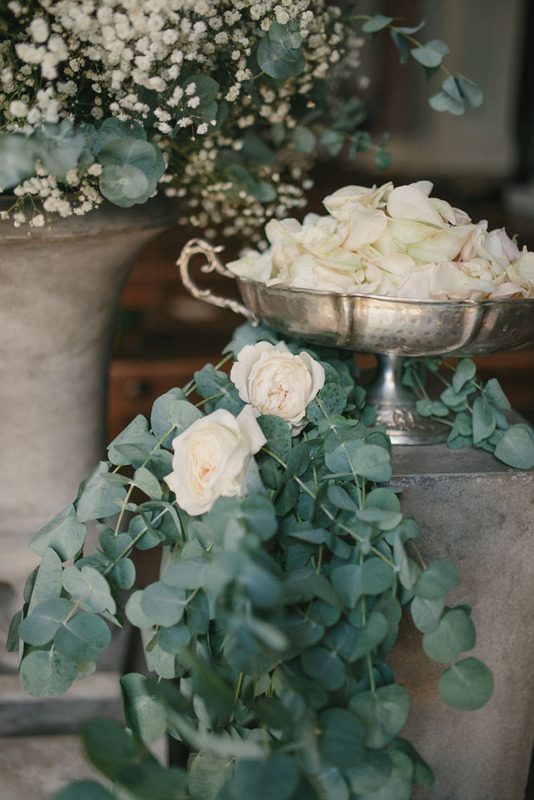 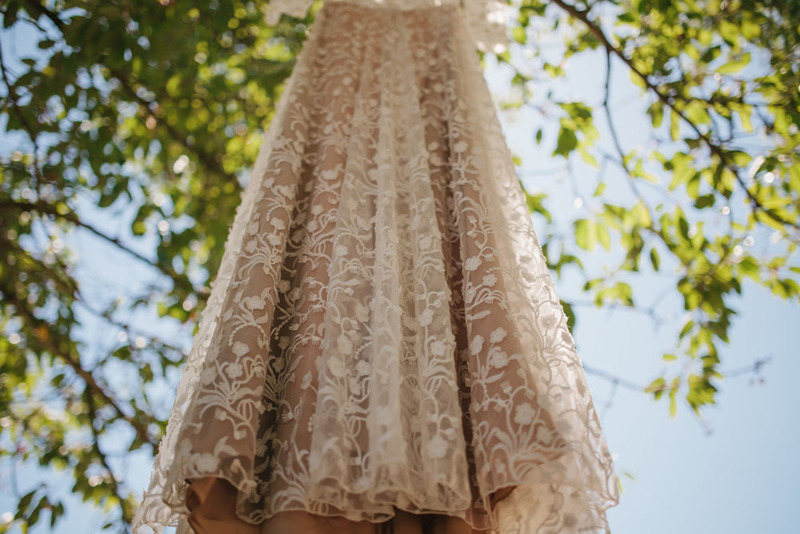 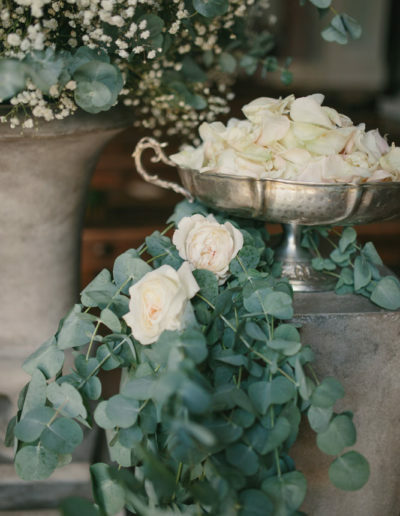 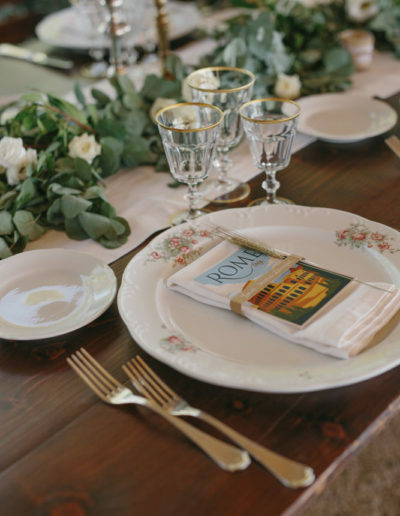 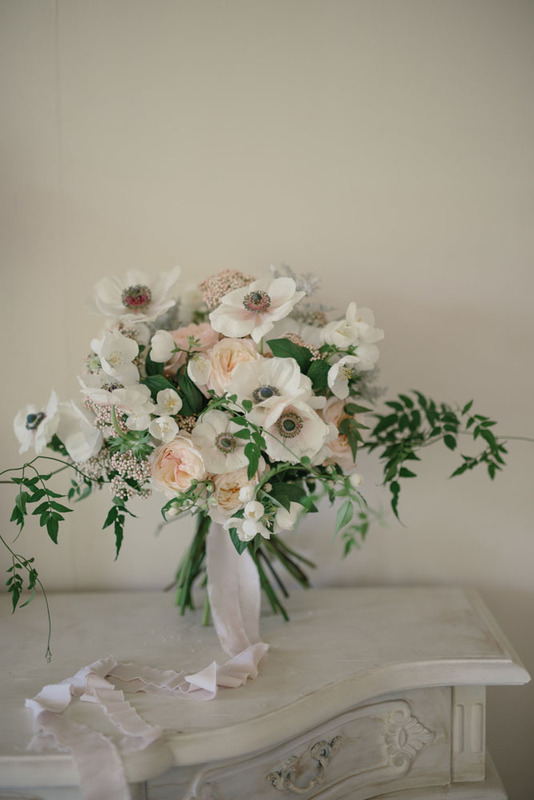 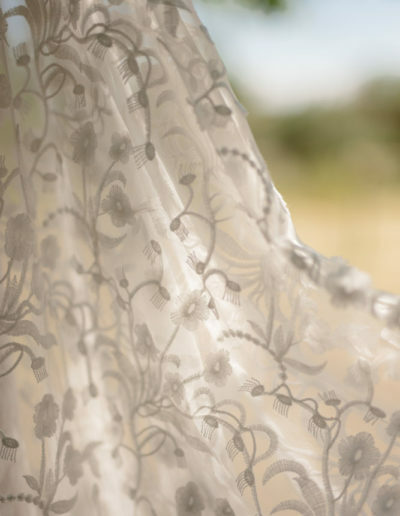 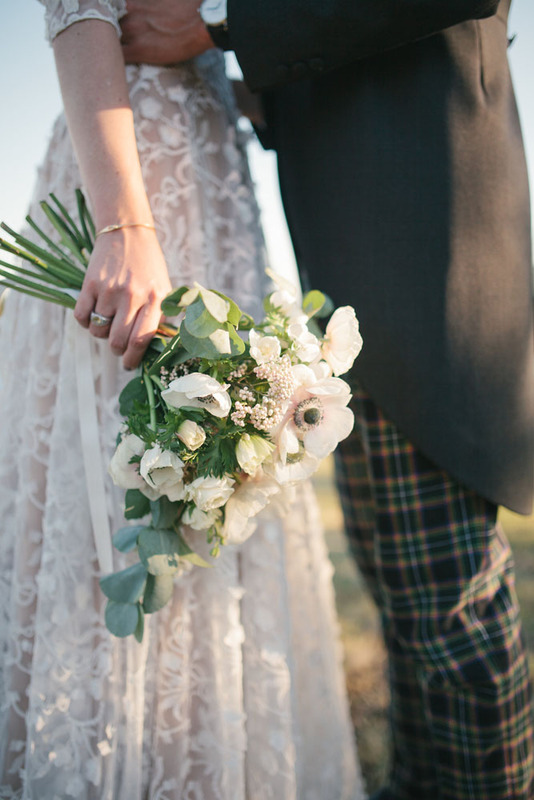 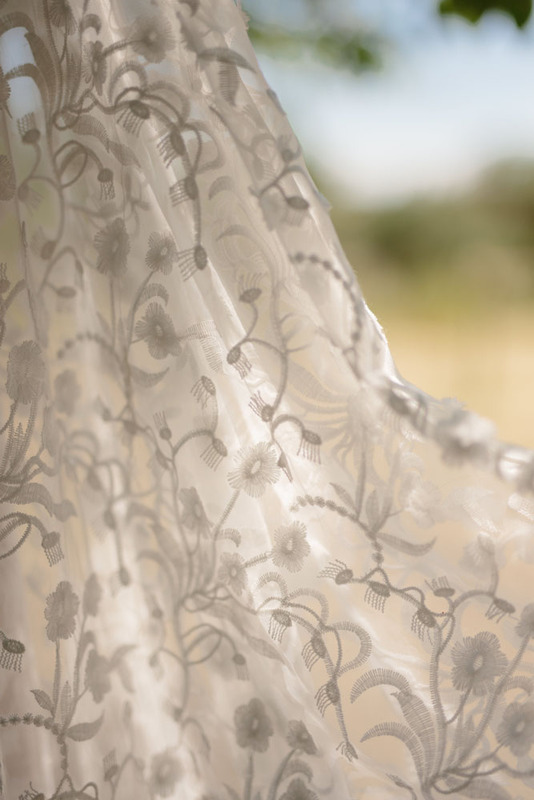 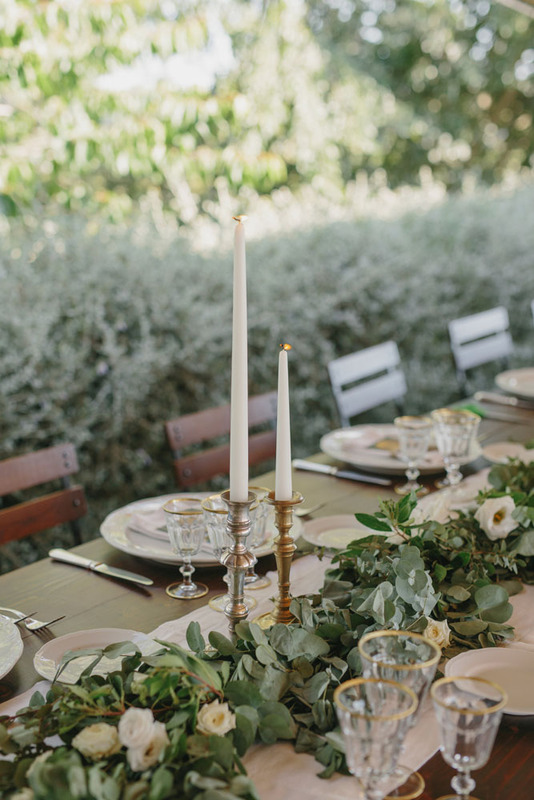 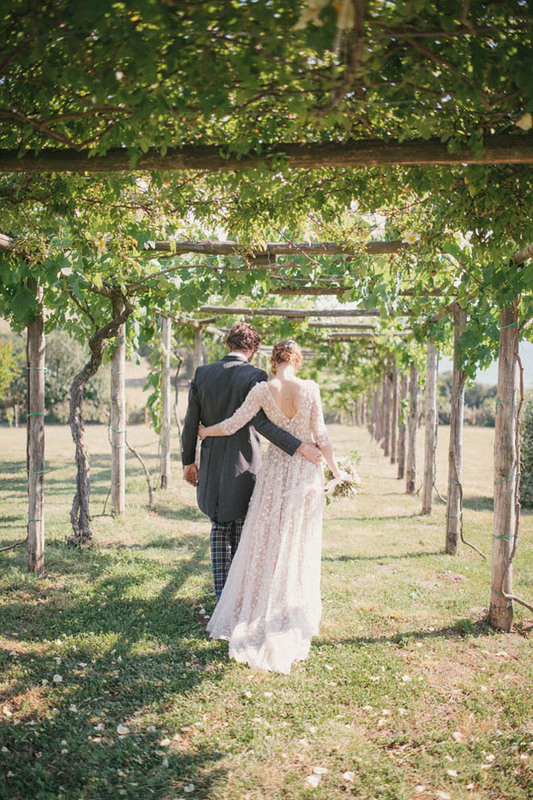 Country chic and white color were the keywords of this lovely wedding in Italy. 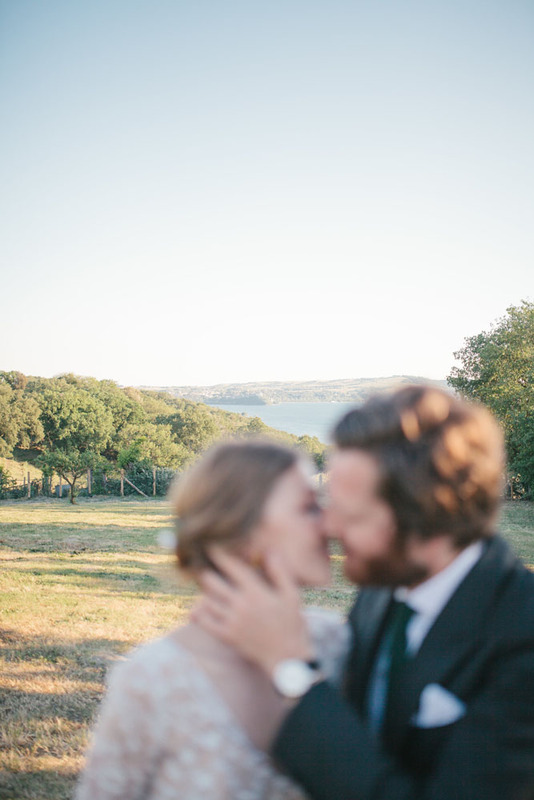 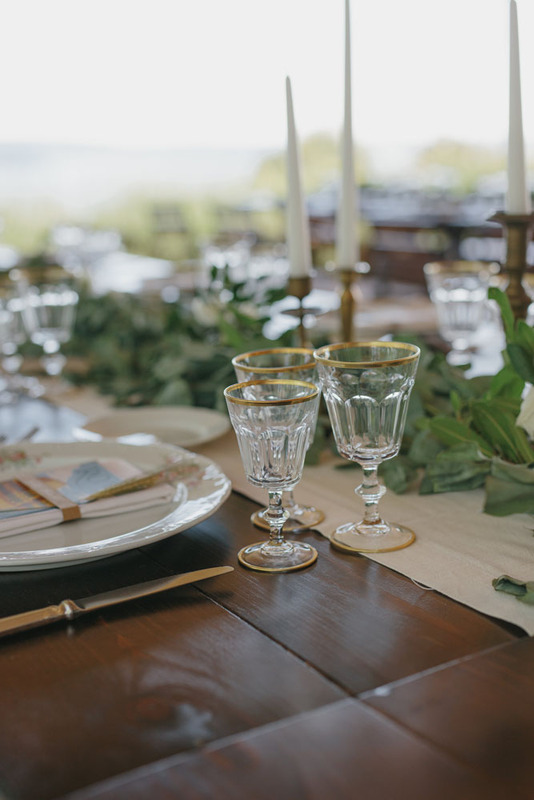 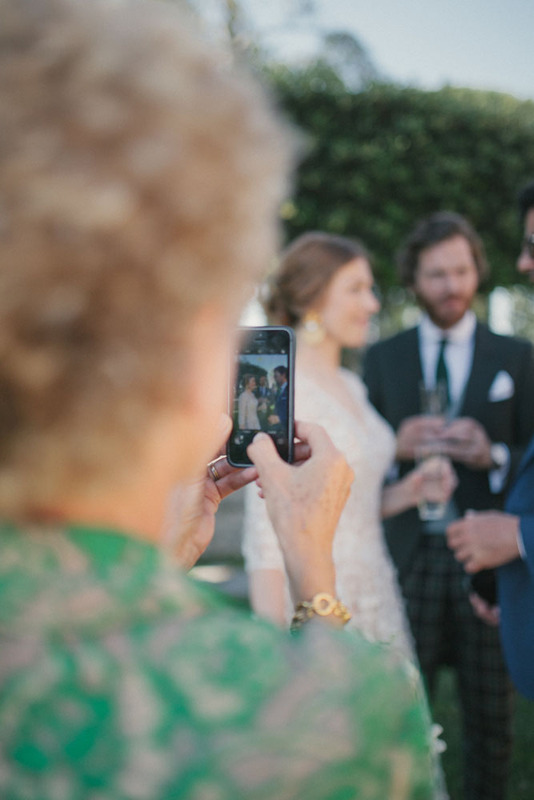 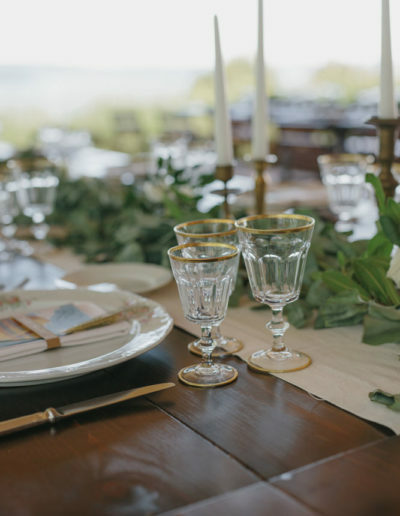 A bucolic wedding on Lake Bracciano for these beautiful and glamorous French spouses. 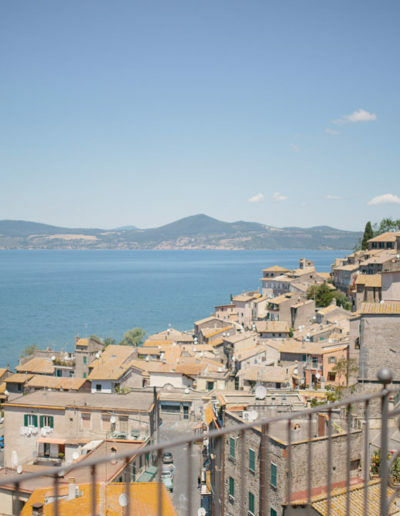 Lake Bracciano is a one-hour drive from Rome and a three-hour drive from Florence and Naples. 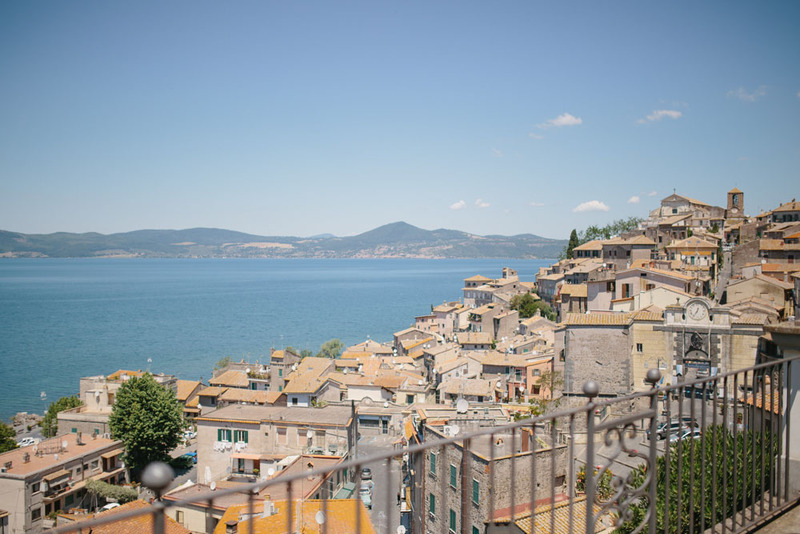 This beautiful area that surrounds Lake Bracciano is green and very romantic. 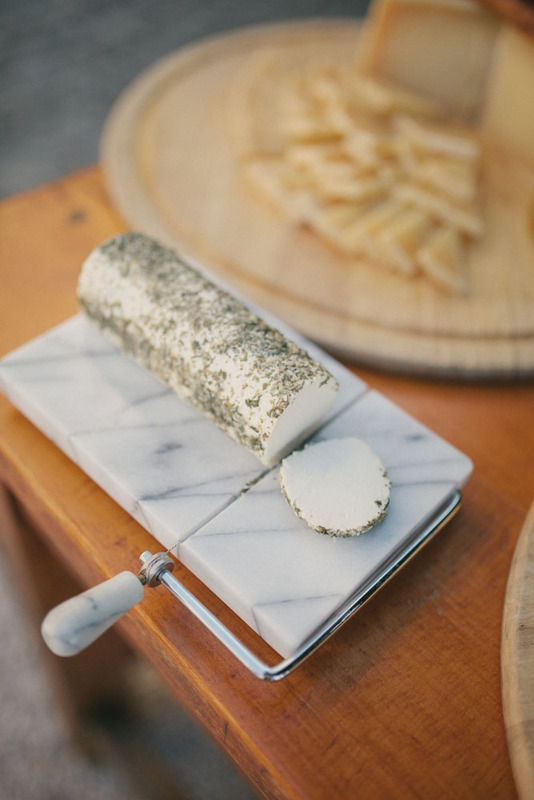 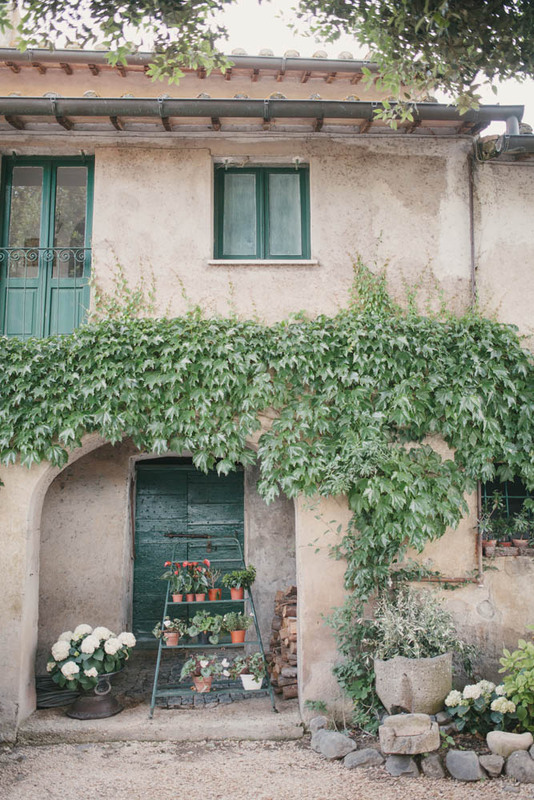 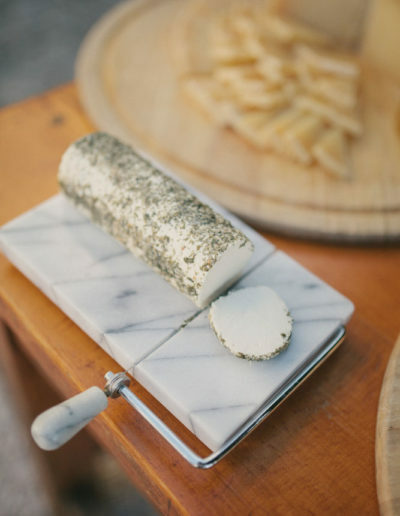 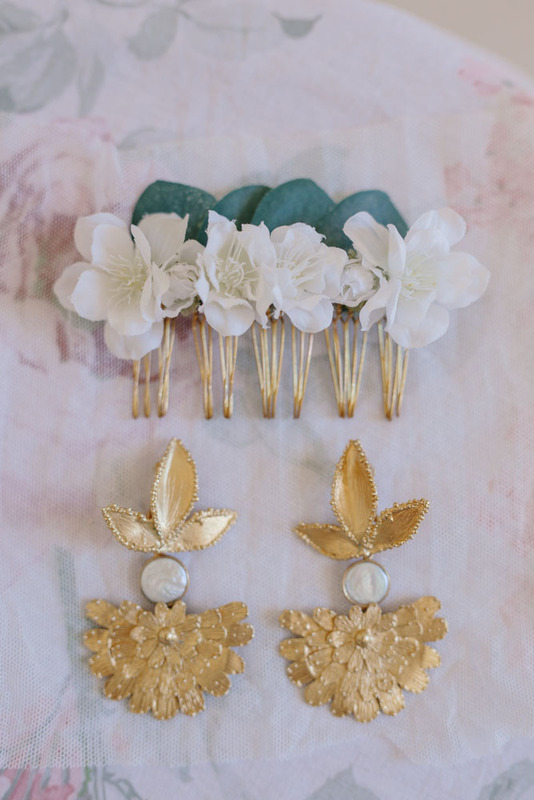 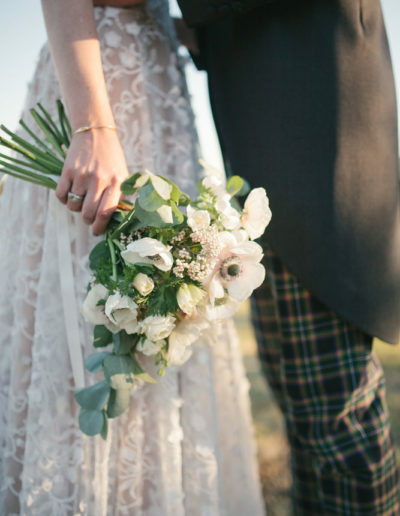 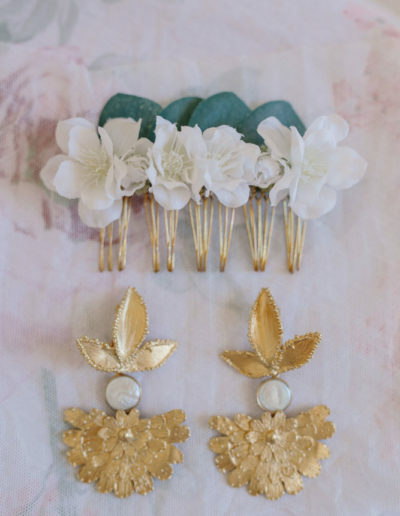 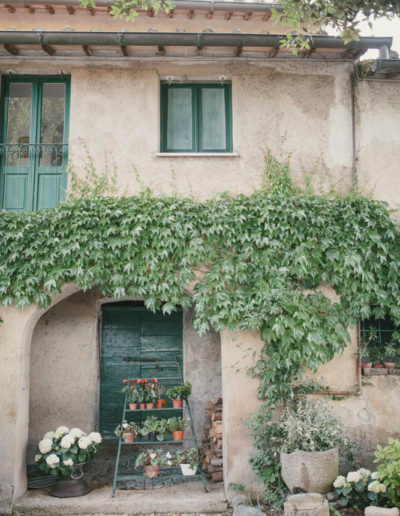 The couple wanted a country-style wedding in Italy in the tones of the green and white. 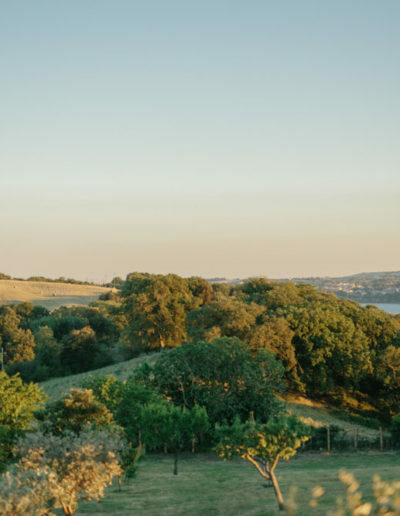 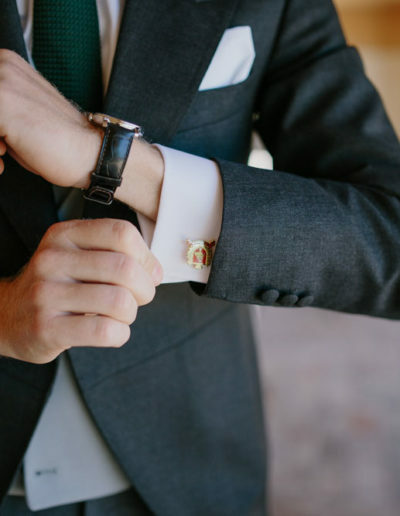 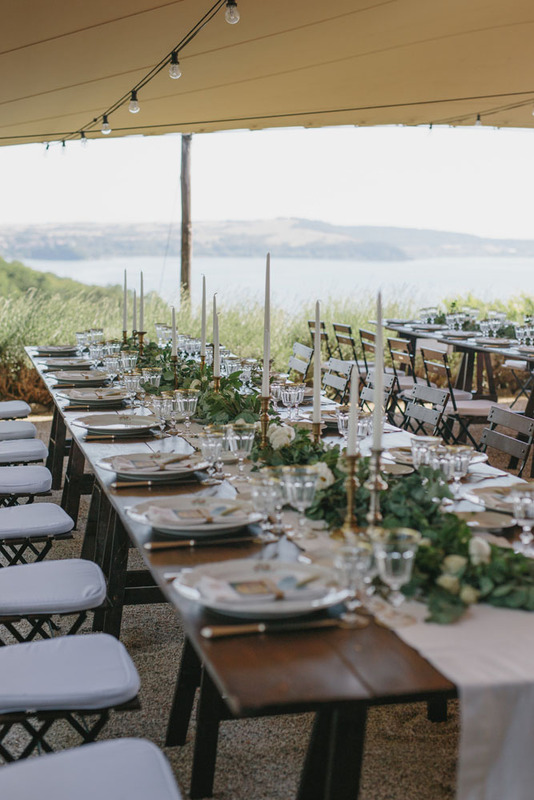 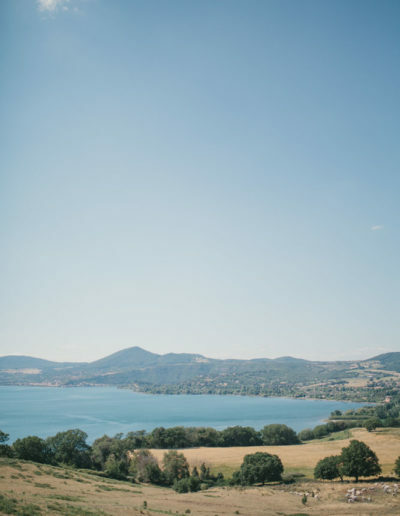 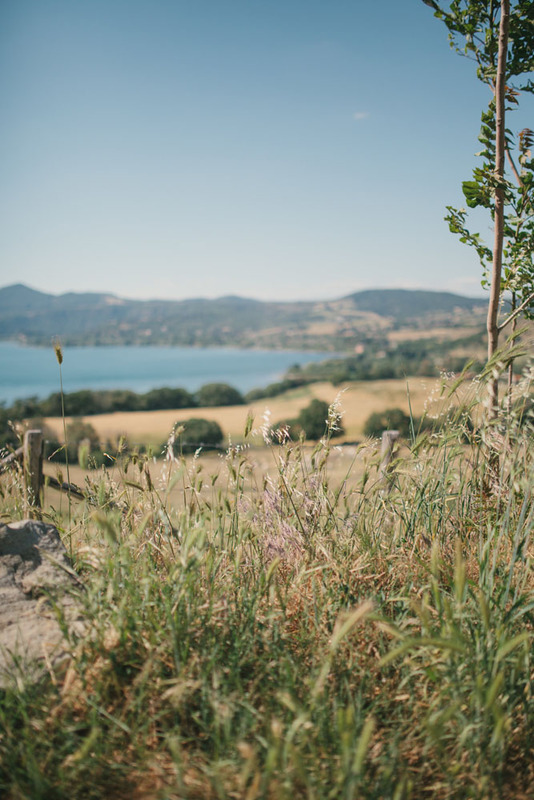 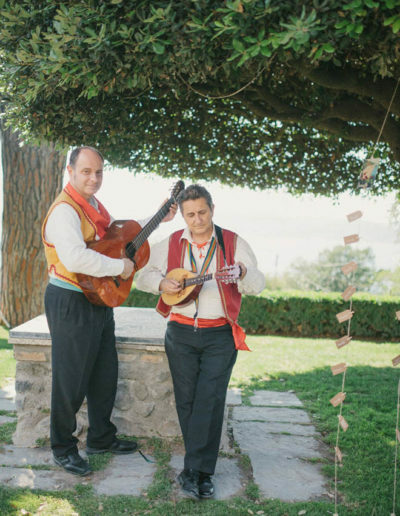 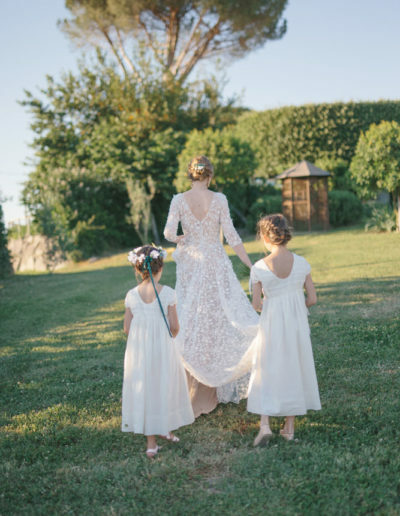 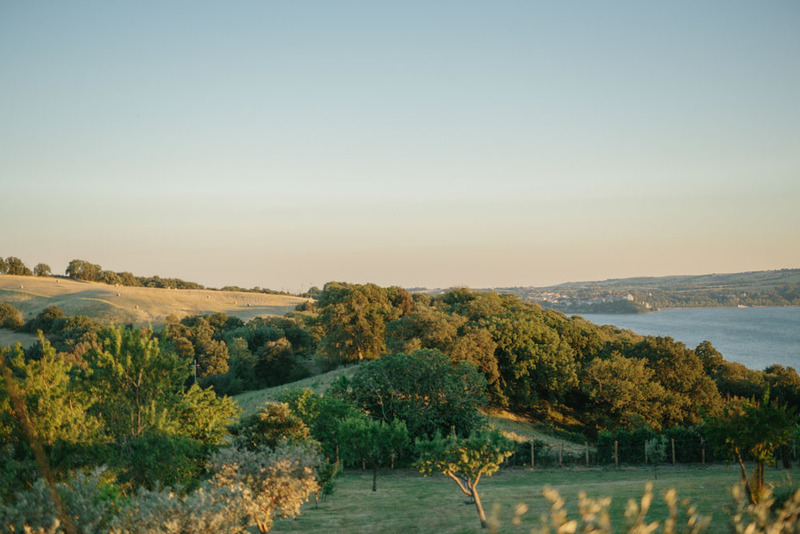 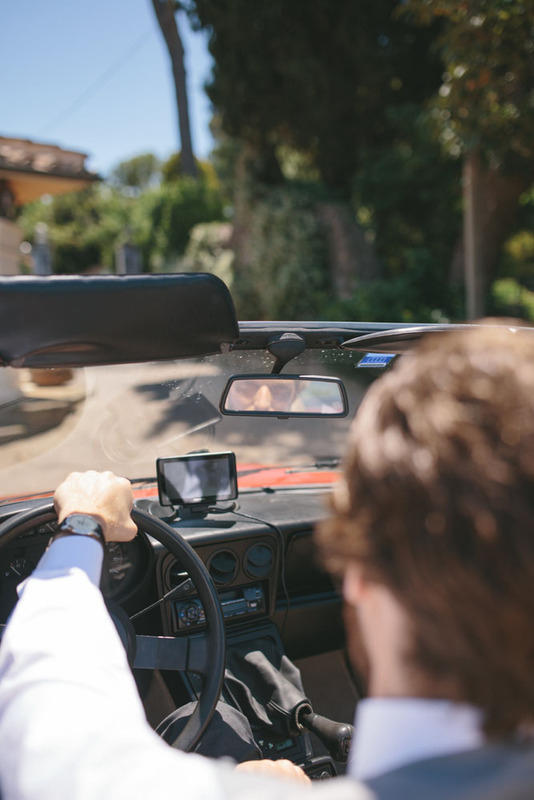 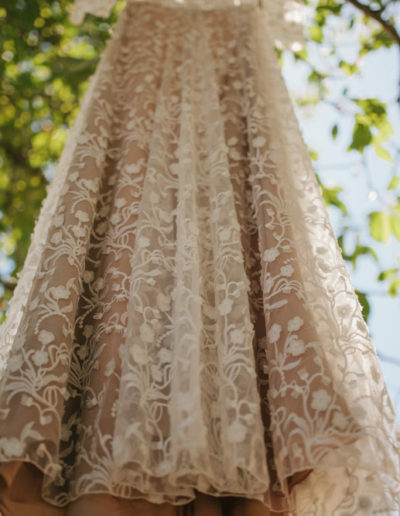 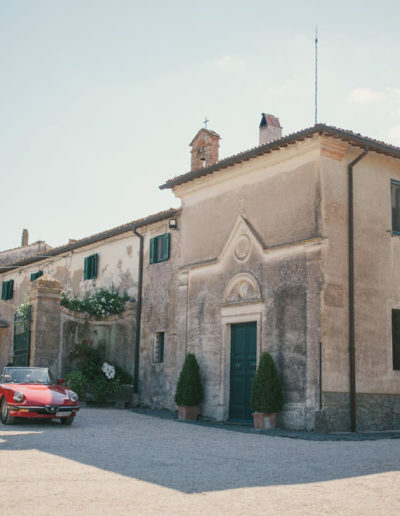 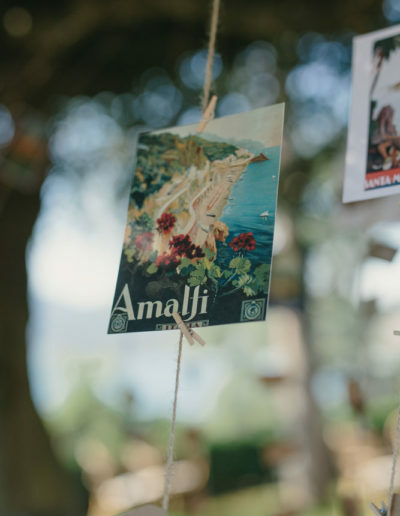 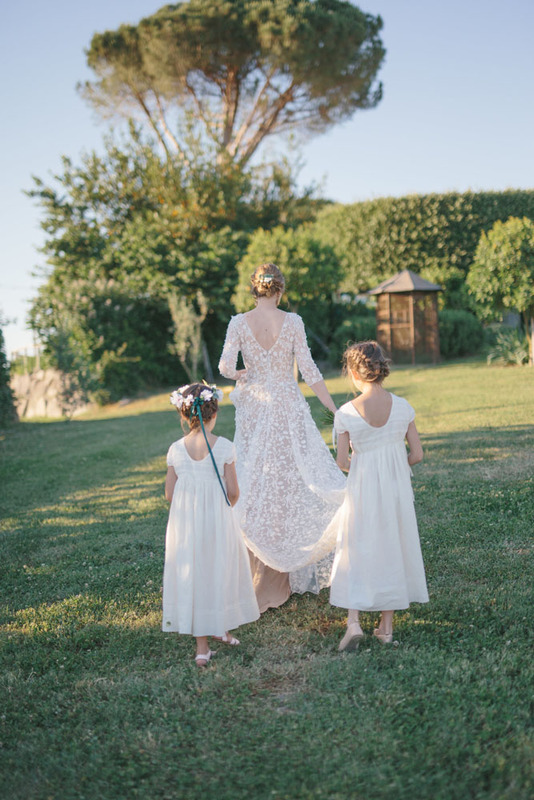 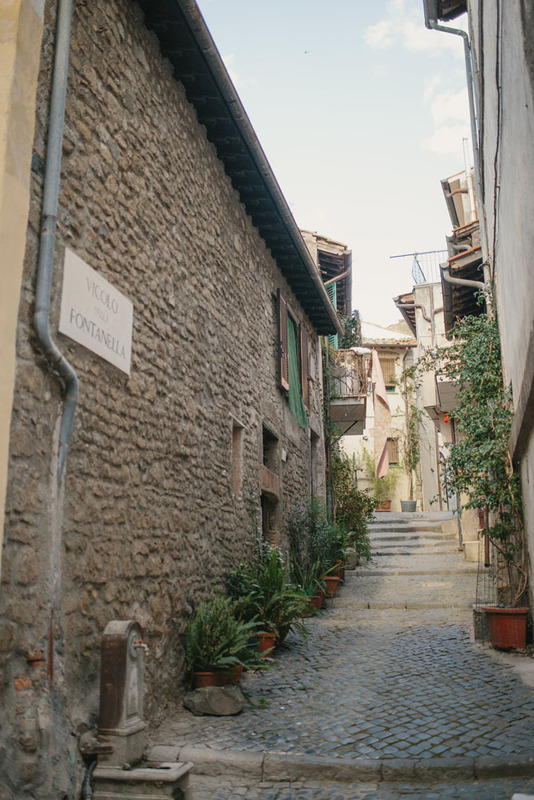 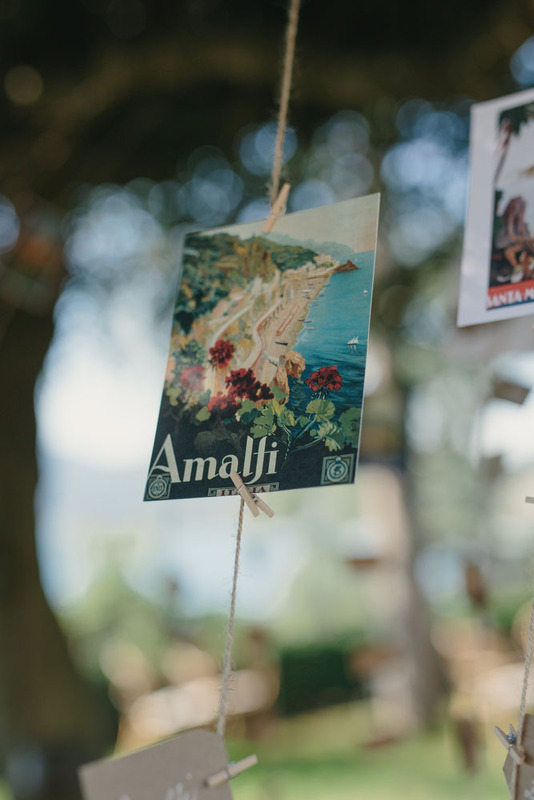 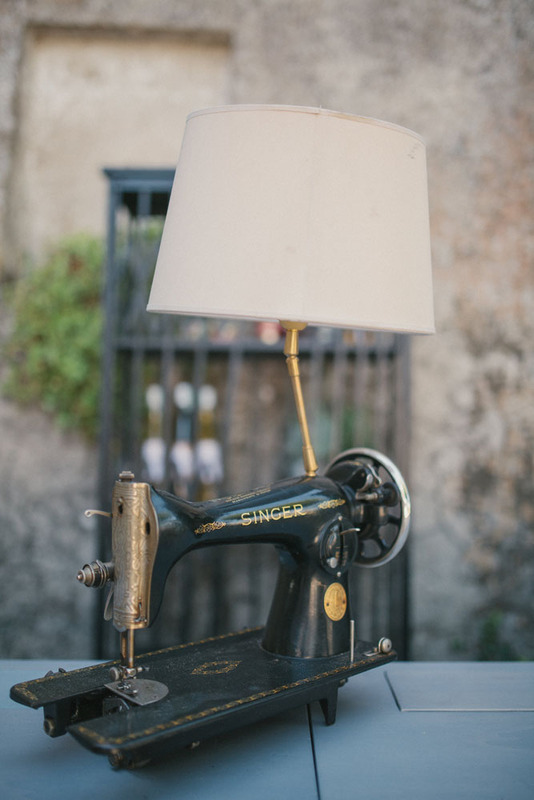 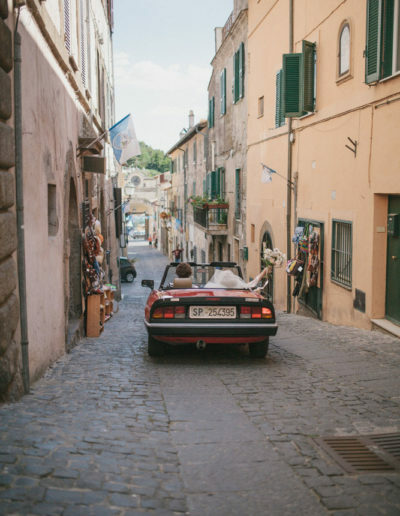 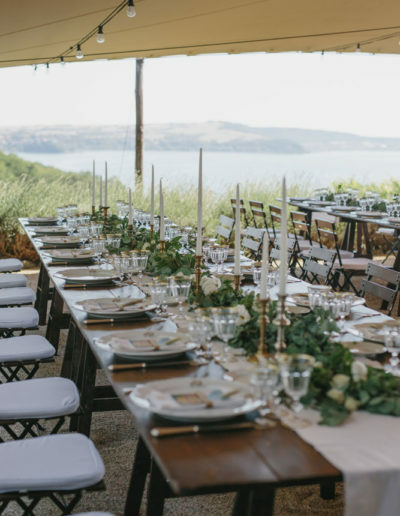 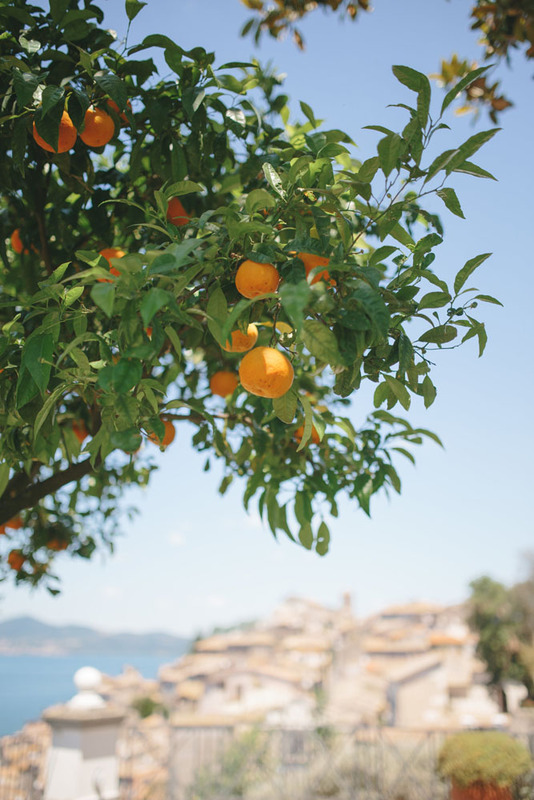 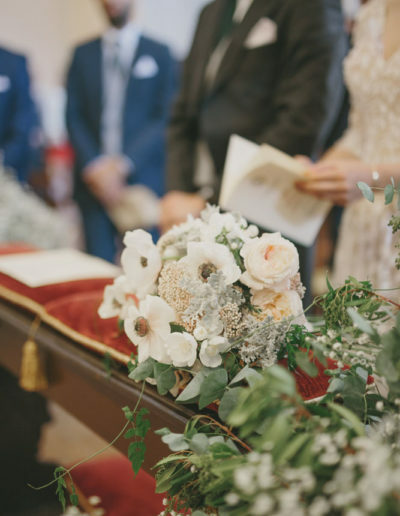 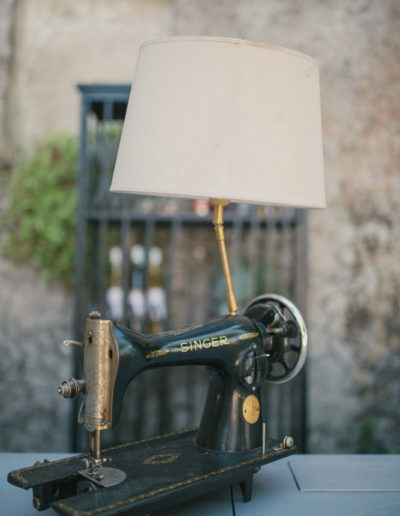 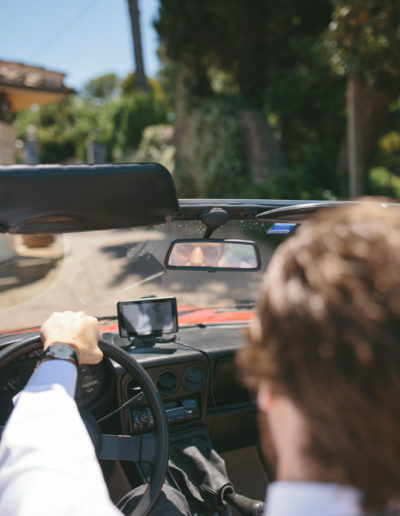 The charm and the peace of the countryside near Rome and the authentic traditions of the villages were the focus of the three-day Lake Bracciano wedding. 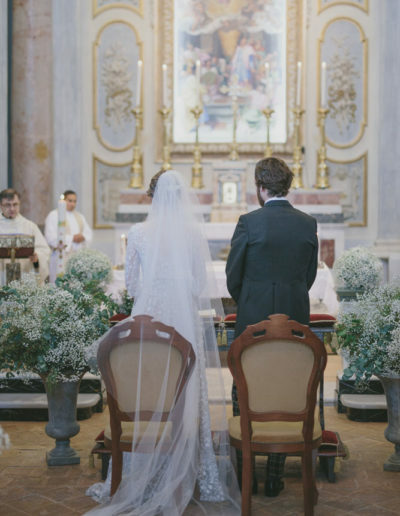 A romantic religious ceremony was celebrated in the beautiful historical village of Anguillara Sabazia (36 kilometers from Rome). 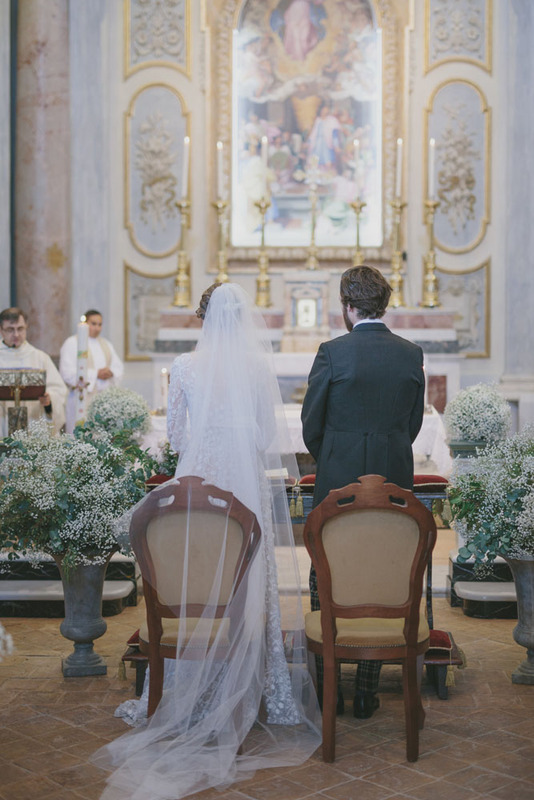 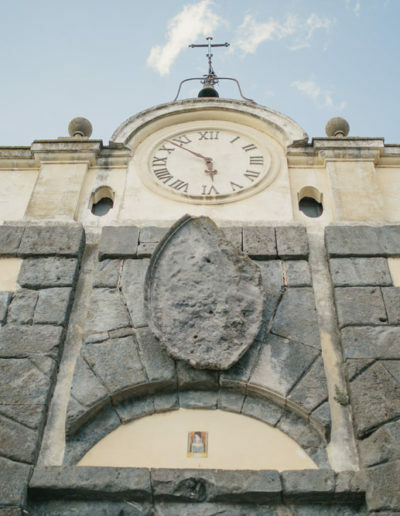 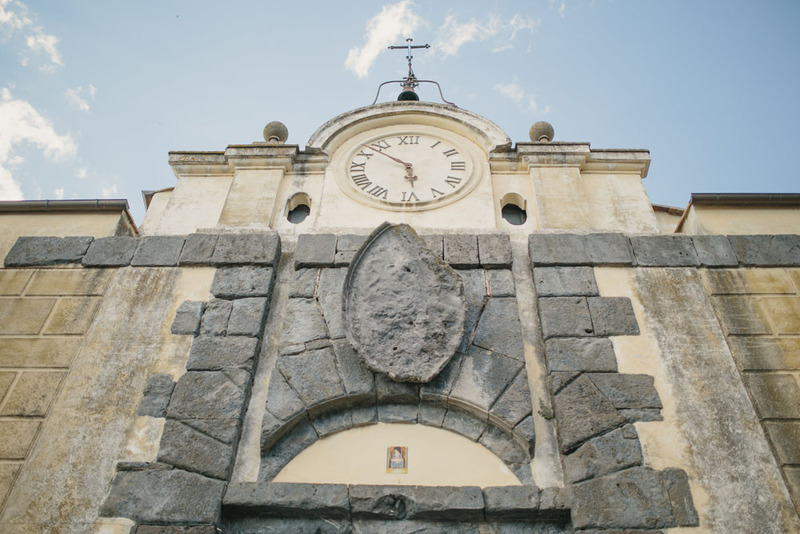 The magnificent church with a breathtaking panorama over the Bracciano Lake was the set of their intimate celebration. 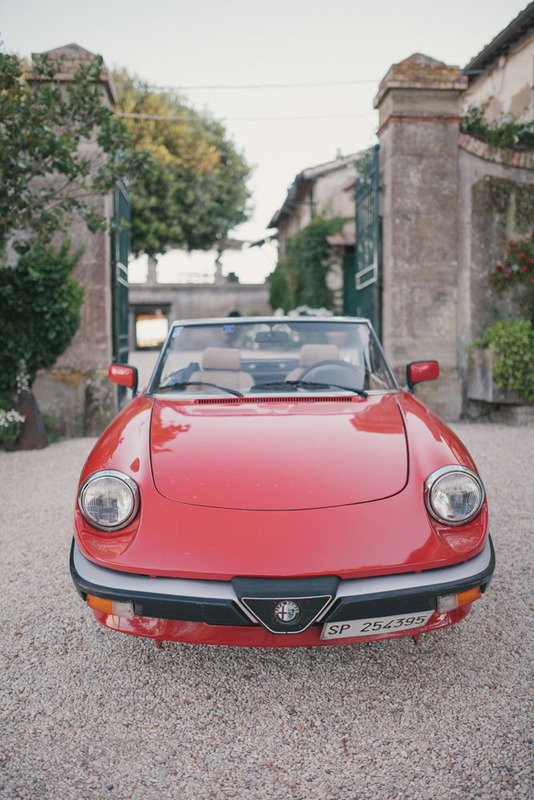 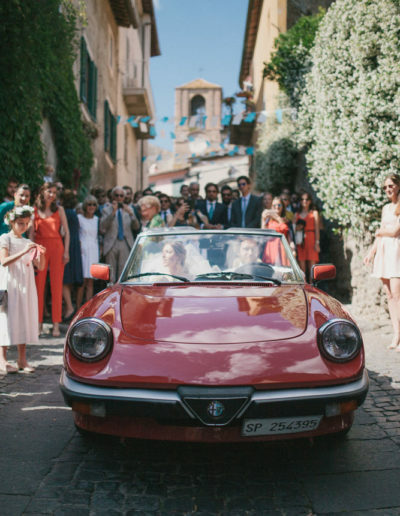 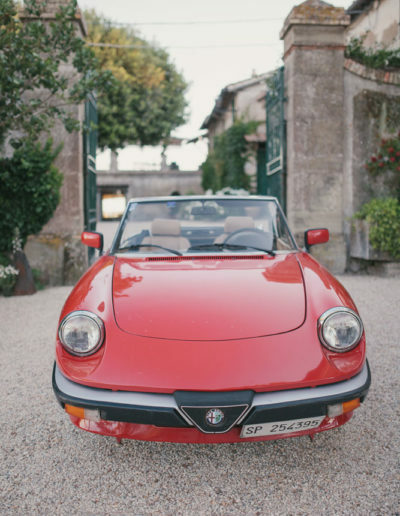 At the end of the ceremony, a classic red “Alfa Duetto” vintage car waited for the newlyweds. 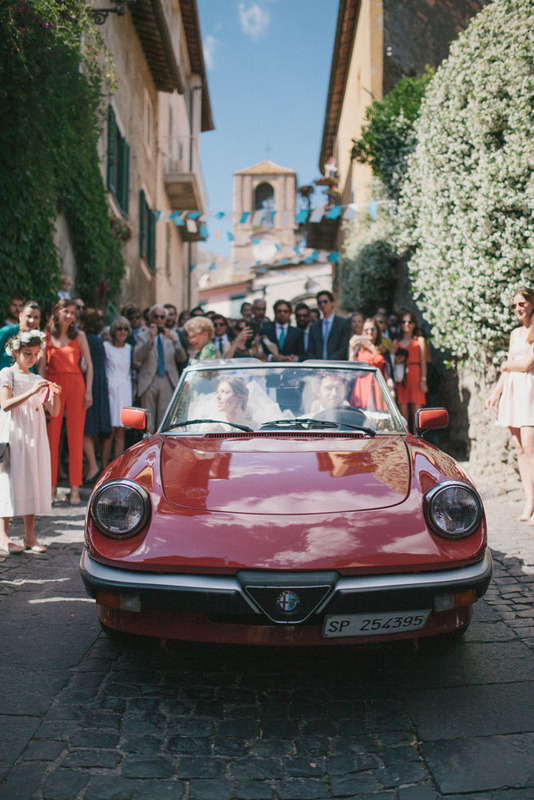 Their ride to the reception venue was like in a movie! 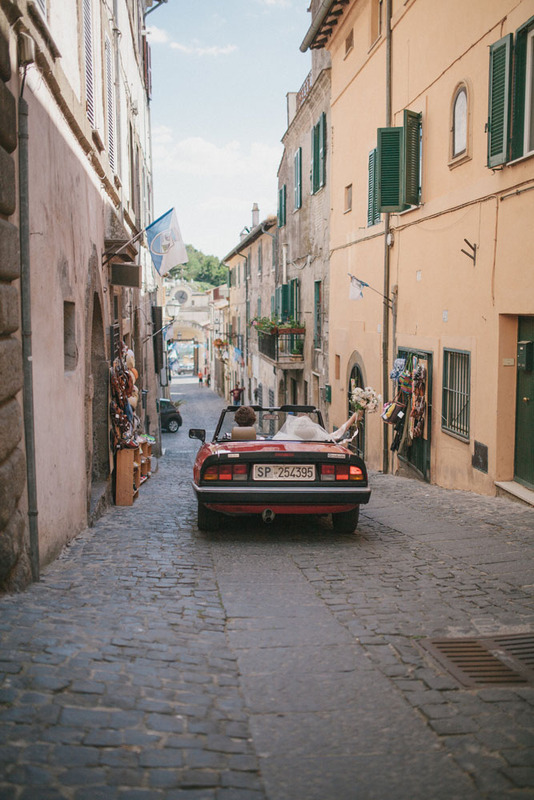 It was a twenty-minute ride on the Roman hills for an exciting Italian experience. 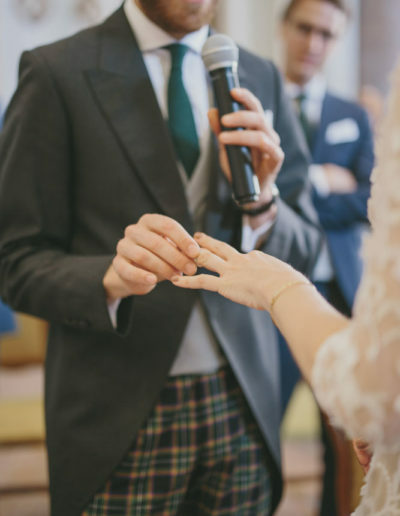 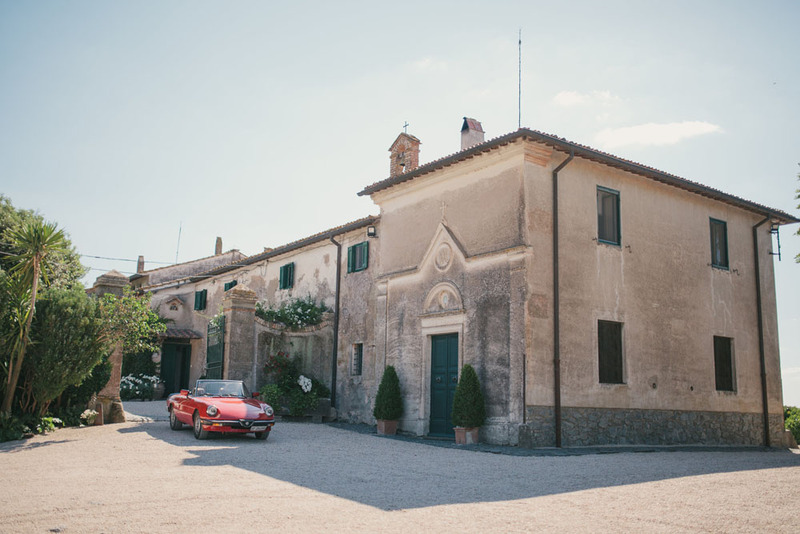 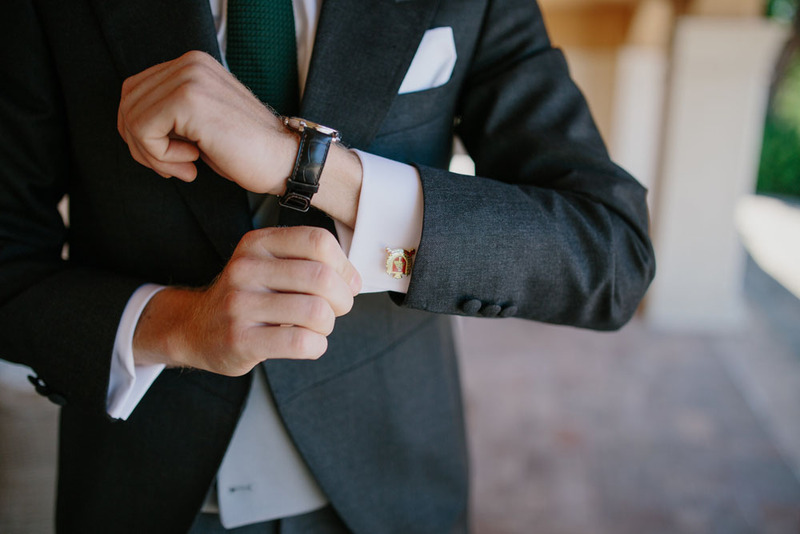 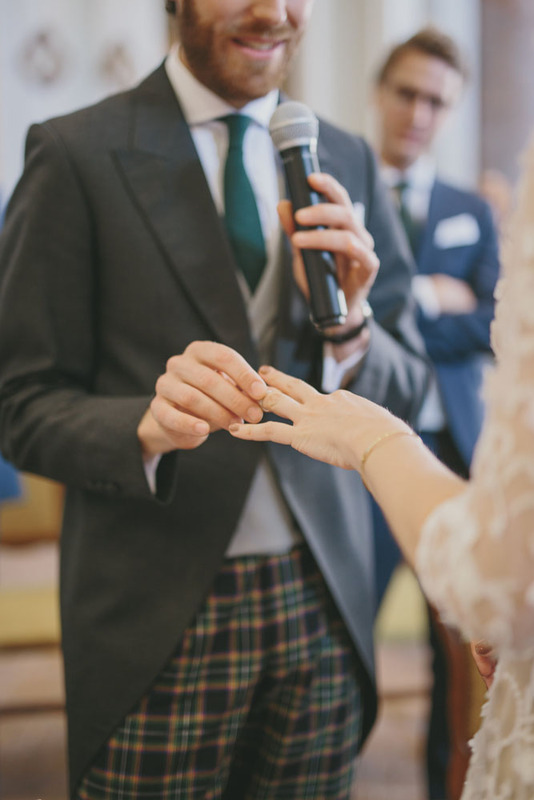 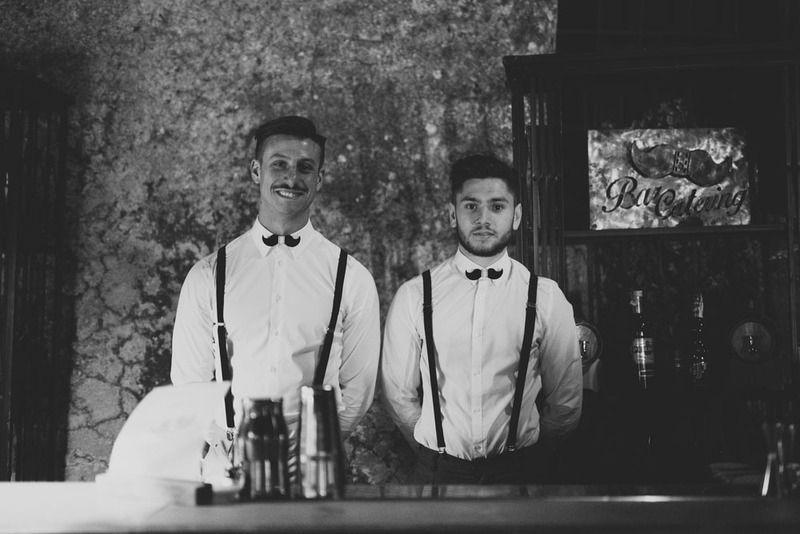 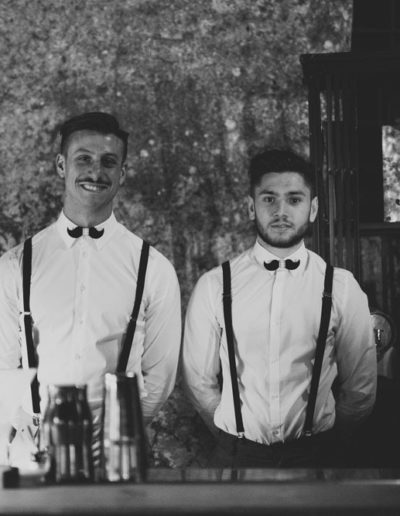 The wedding reception was organized in the enchanting Casale di Polline which is an authentic and ancient farmhouse located on the top of a hill. 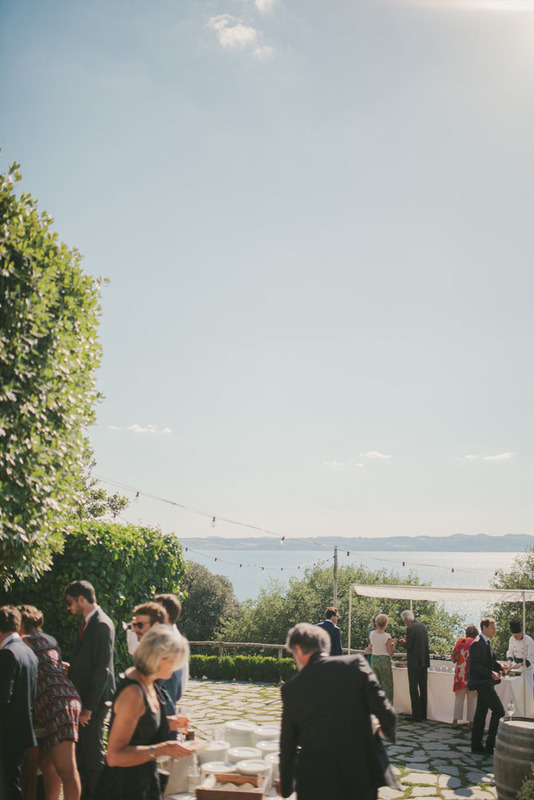 All around a breathtaking panorama of nature and Lake Bracciano. 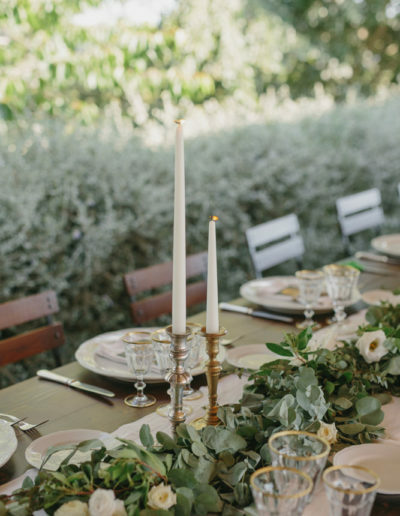 For dinner, I designed a delicious tribute to the Italian tradition: a great selection of the most mouthwatering local wine and food to amaze the guests with an authentic Italian gourmet experience. 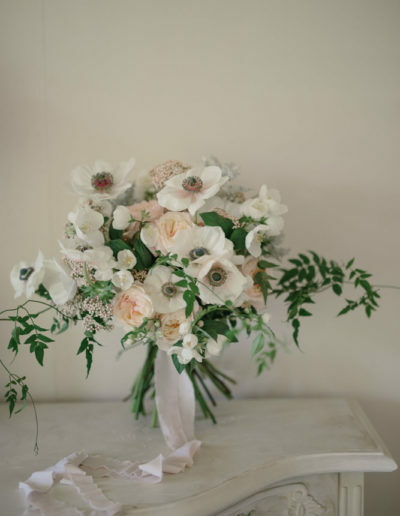 Everybody loved the flower arrangement that I designed with the help of a local flower artist. 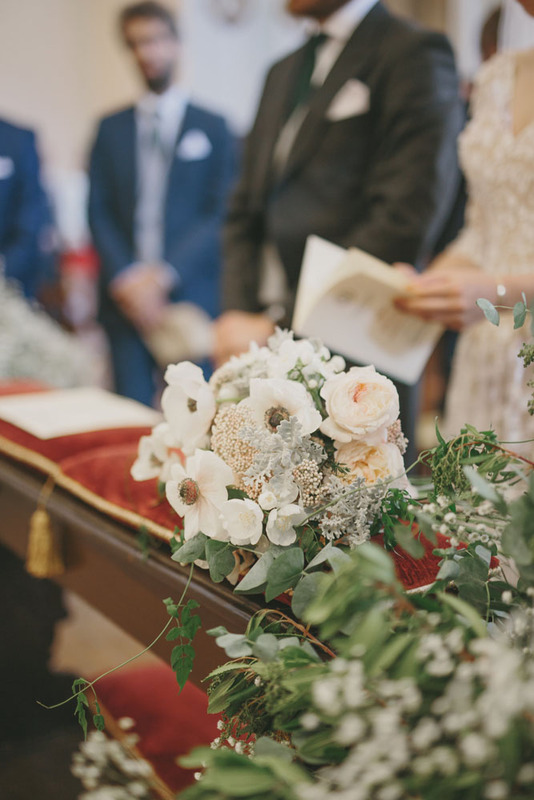 The flair of the venue and the personality of the couple were very well complemented by the wedding decoration and the white and green flowers. 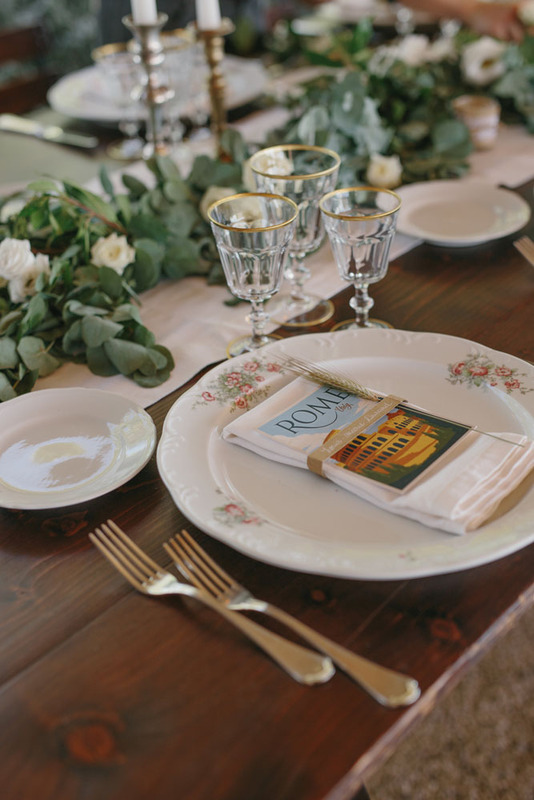 On the wedding table, I arranged a country-style mise en place. 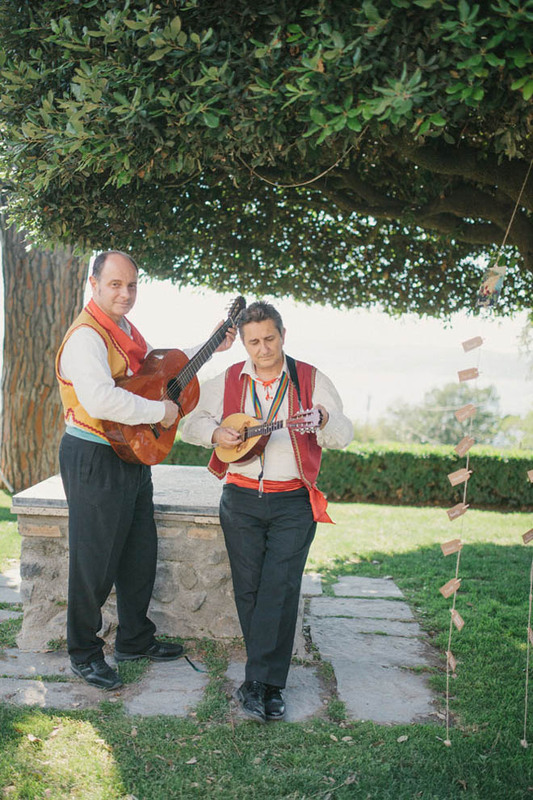 When the traditional folk music band started playing, the wedding party under the stars started too. 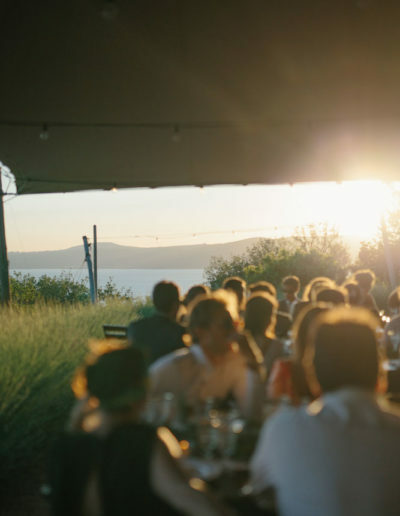 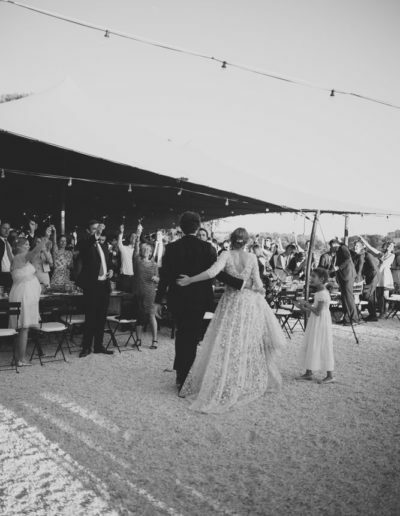 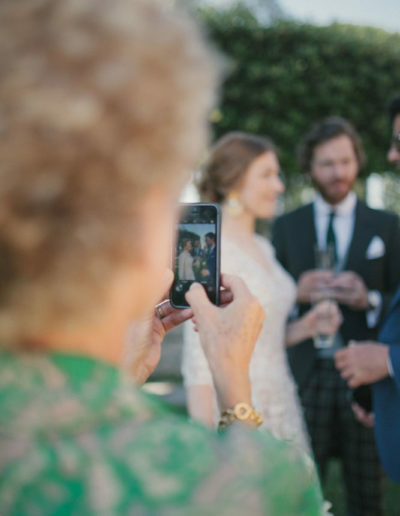 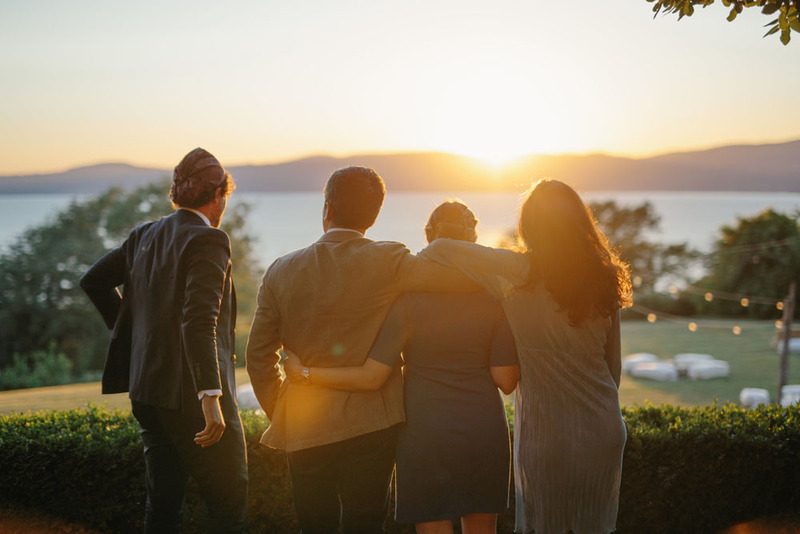 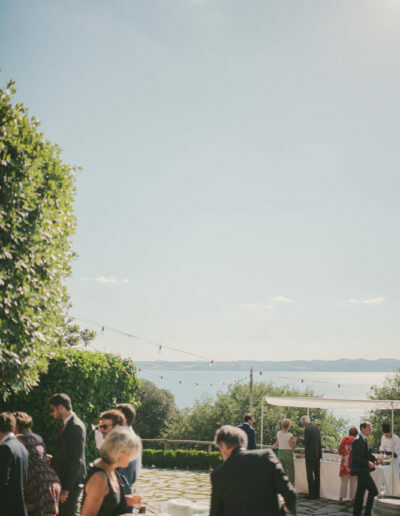 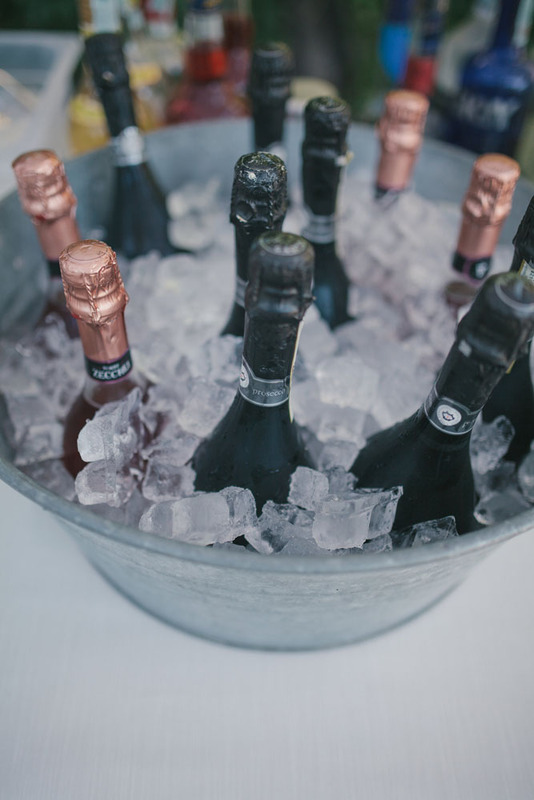 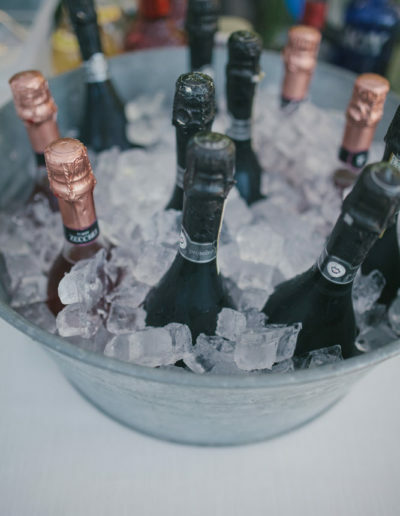 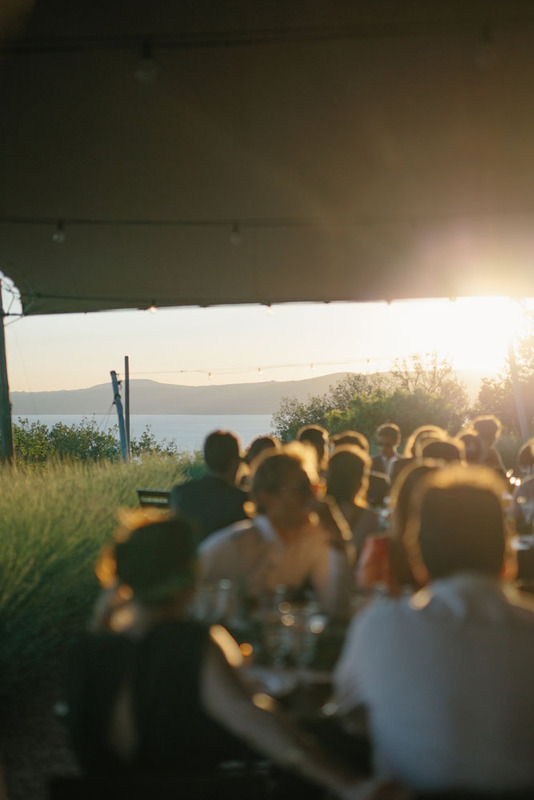 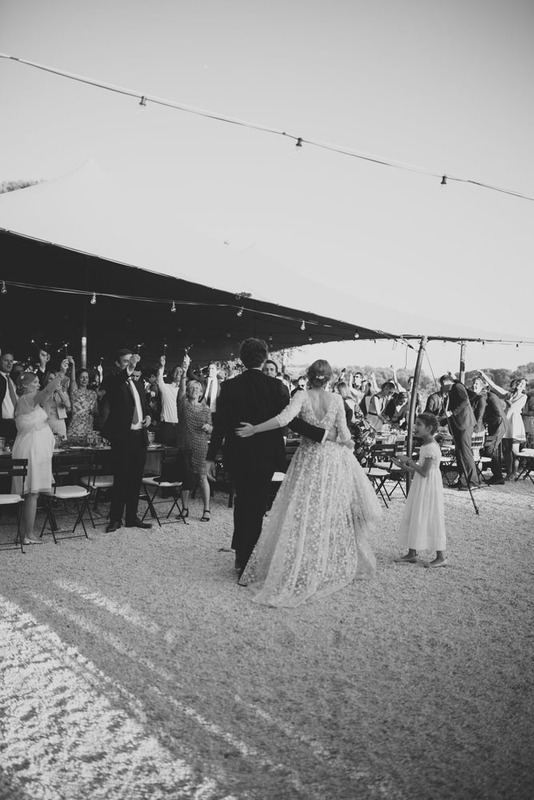 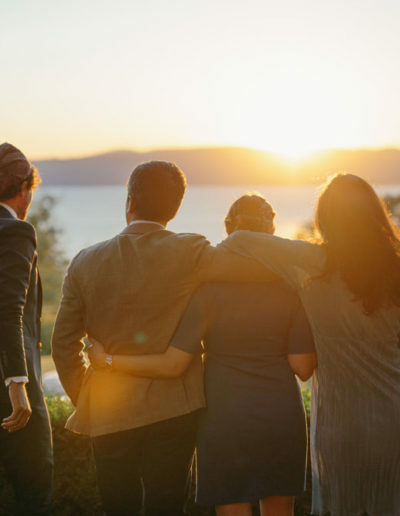 The day after the wonderful Lake Bracciano wedding, the newlyweds hosted their guests in a cozy lakeside lido, for a friendly happy hour together. 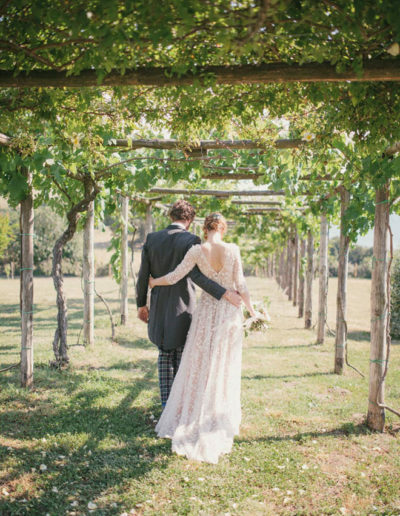 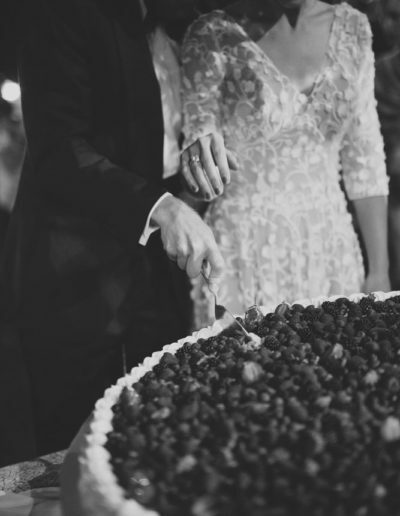 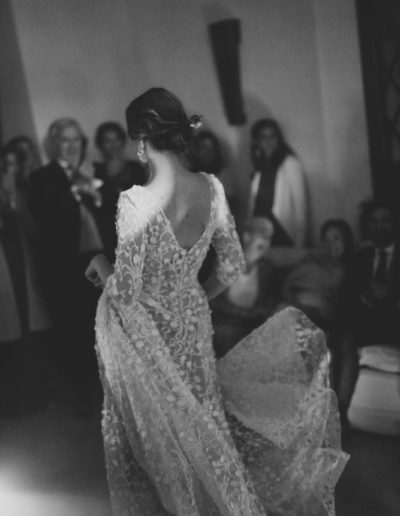 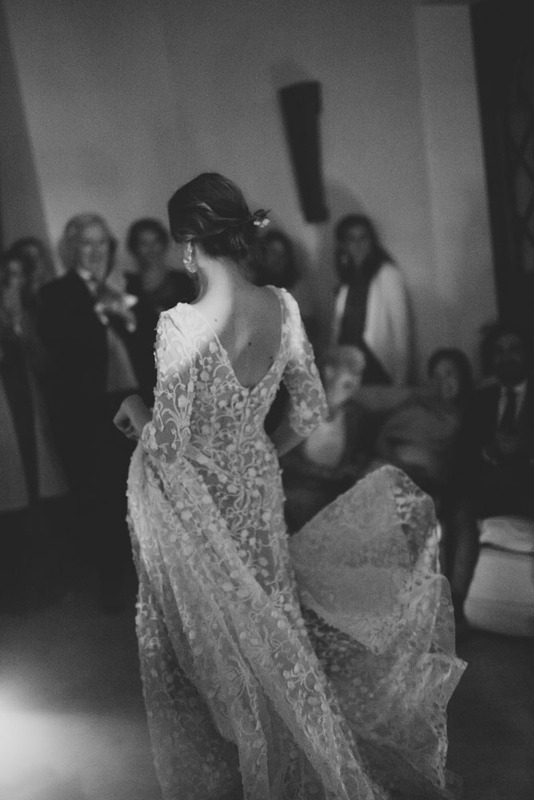 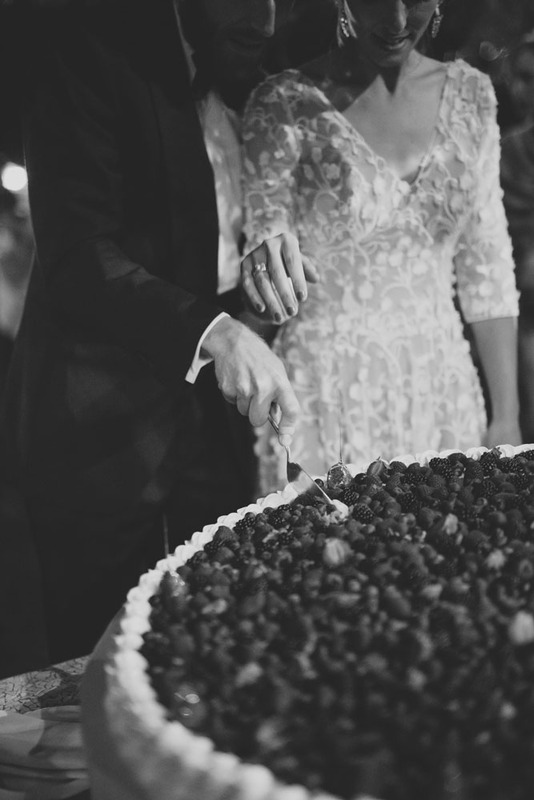 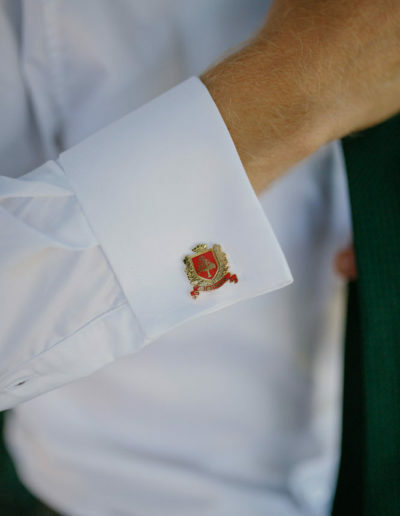 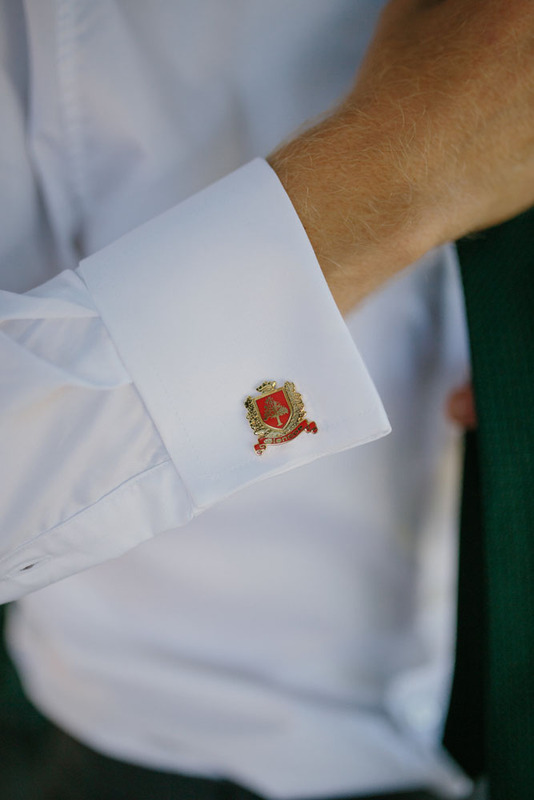 This was the perfect ending of an unforgettable wedding-weekend in Italy.